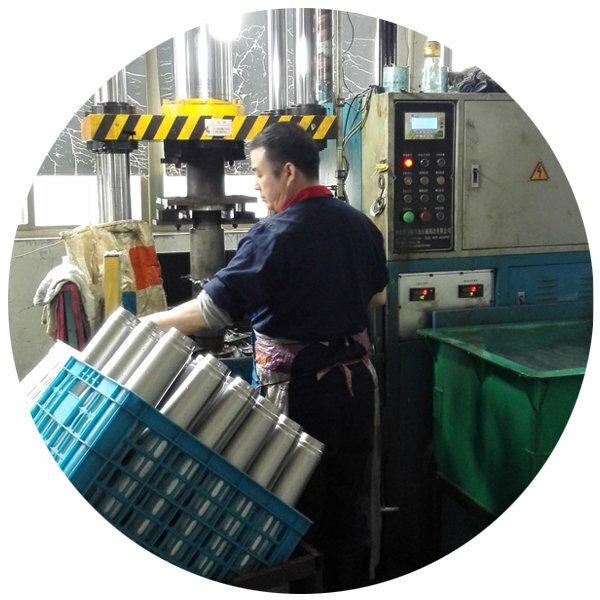 REACHING is a professional Hydro Flask manufacturer in China, specializes in manufacturing Hydro Flask, Wine Tumbler, and Growler which are sold and shipped to market throughout the world. 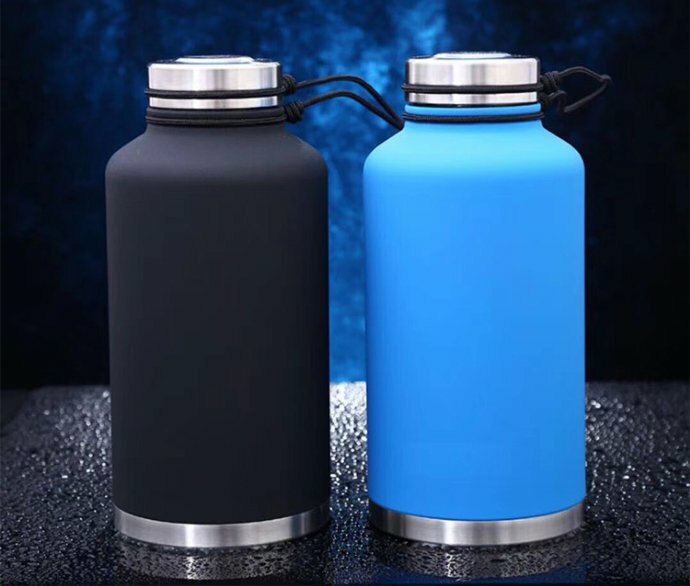 REACHING manufacturer Hydro Flask is one kind of Double wall stainless steel vacuum flask, acting as a hot and cold flask container. 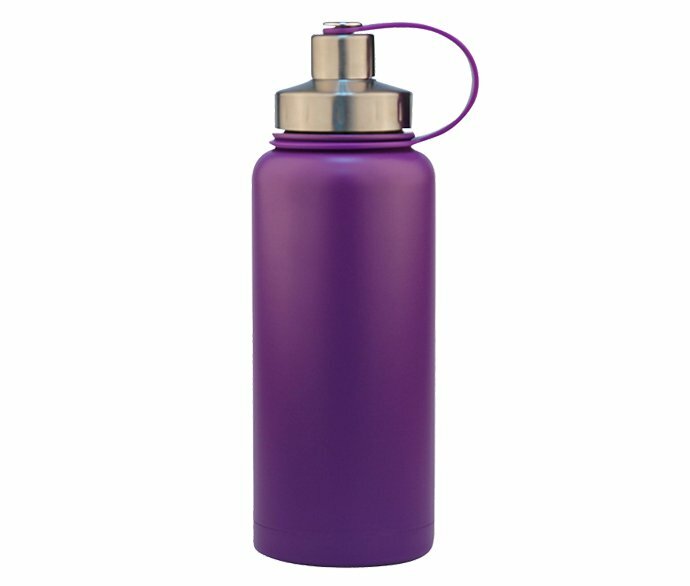 Every REACHING Hydro flask has all advantages of SS Vacuum Flask to keep Hot or cold beverages for a long period. REACHING Hydro Flask is made of Non-toxic, Lead-Free, BPA free plastics & 18/8 Food grade stainless steel. All safe to drink. Whether you are a retailer, brand, or wholesale clients for the hydro flask, Reaching manufacturer Hydro Flask can always custom any designs to boom your business. Download our PDF catalog here. Hydro Flask 20 oz Lid, Made of Professional Grade Stainless Steel, Keep Cold up to 24 Hours! 22 oz Hydro Flask Tumbler, Wide Mouth Flip Top Lid, Red Durable Powder Coat! 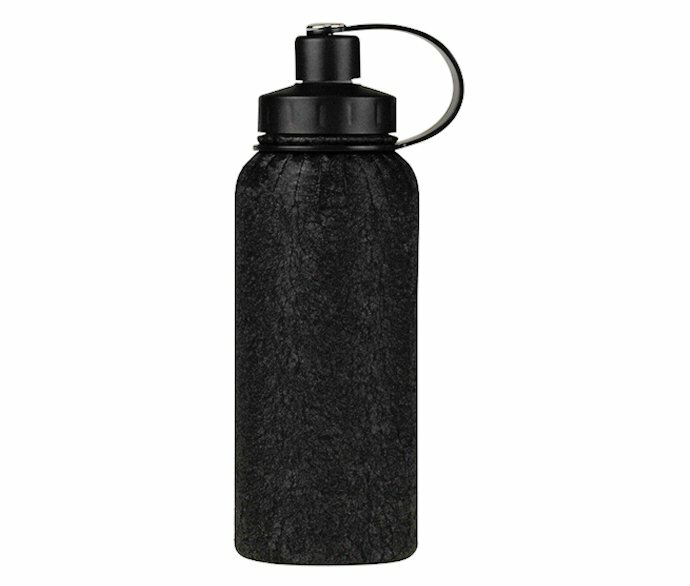 Hydro Flask 32 oz Wide Mouth Flat Cap Lid, Full Wrapped Bottle Surface Finishing! hydro flask 18 oz wide mouth insulated water bottle, Silver Surface, Portable and Durable, Lifetime warranty! REACHING meets and exceeds EN12546-1:2000 for technology standard in manufacturing REACHING Hydro Flask bottle. You could use REACHING manufacturer Hydro Flask for your perfect hot or cold water, hot coffee, cool beer and wine container for safe and healthy drinking, remain expected hot or cold beverage temperatures for hours. 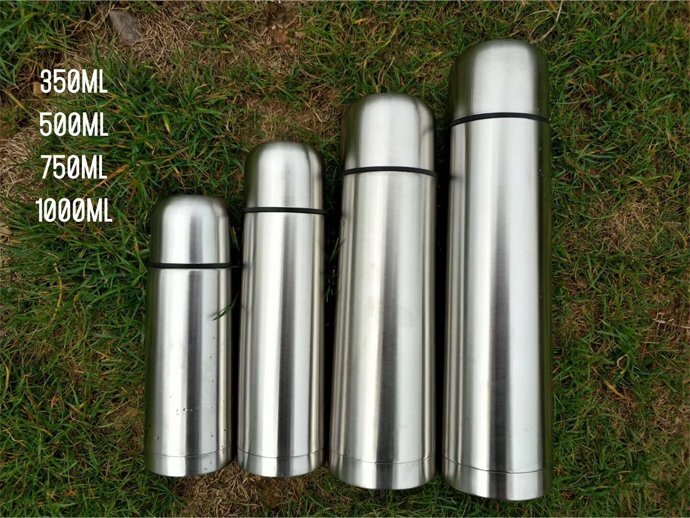 Meanwhile, each REACHING Hydro Flask has more unique features compared with other stainless steel Vacuum Flask. All REACHING Hydro Flasks come with an extra large easy access opening. This wide mouth allows to add ice inside easily, or get the most out of this Hydro Flask, as well as clean REACHING Hydro Flask after using. 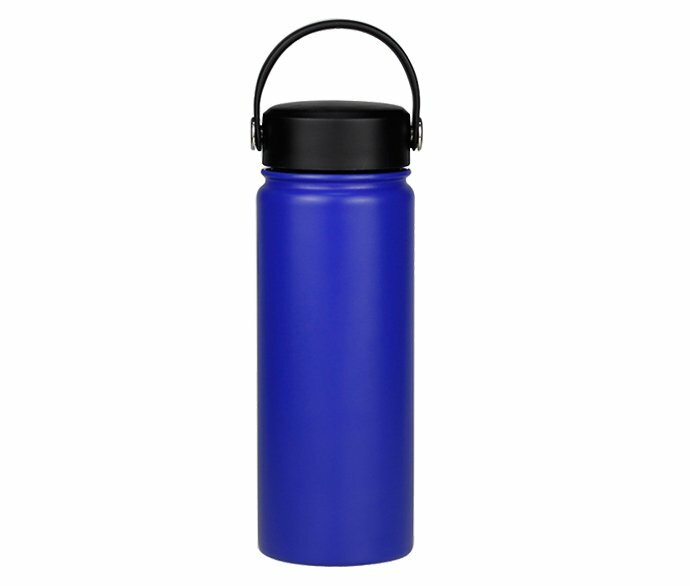 Most of REACHING Hydro Flasks are of a Powder coated outer shell. You could grip the Flask tightly for drinking. 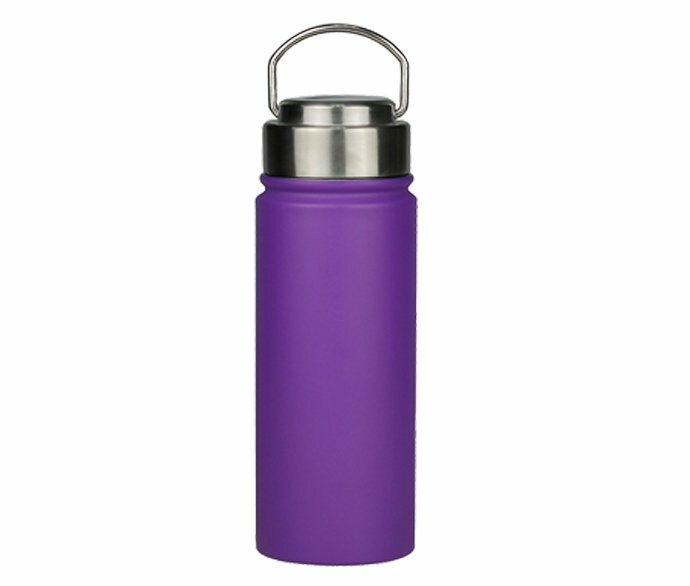 REACHING Hydro Flasks is colorful, Prevents condensation on the outer bottle, and protects the decoration from fading. REACHING Hydro Flask Does not retain Flavor, and help to remain the perfect original taste of fresh beverages. 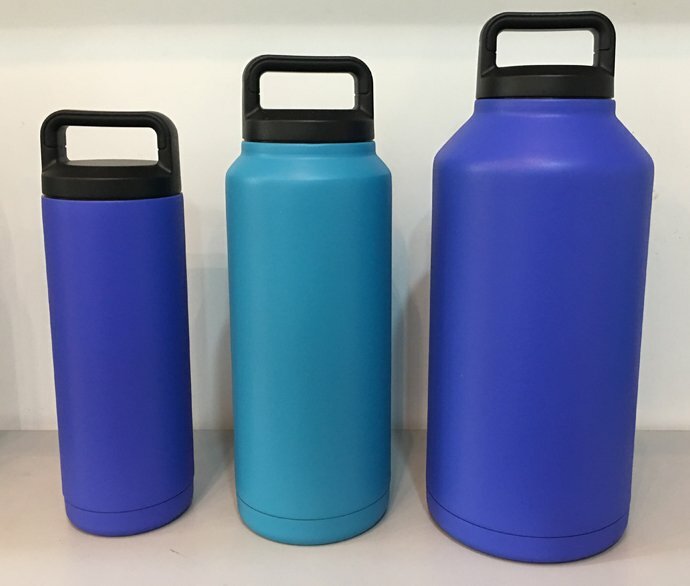 REACHING Hydro Flask manufacturer bottle is a hot seller to USA, Canada, and Europe thanks to its safe and nice design, advanced workmanship, exquisite make, Nice looking and Practical function. Our hot seller products include Double Wall Stainless Steel Insulated Sports water bottle, Hydro Flask, Swell Bottle, Coffee Tumbler, Travel Mug, Wine Tumbler, and Beer Growler. All REACHING Bottles and Mugs pass SGS test for FDA, LFGB standards. 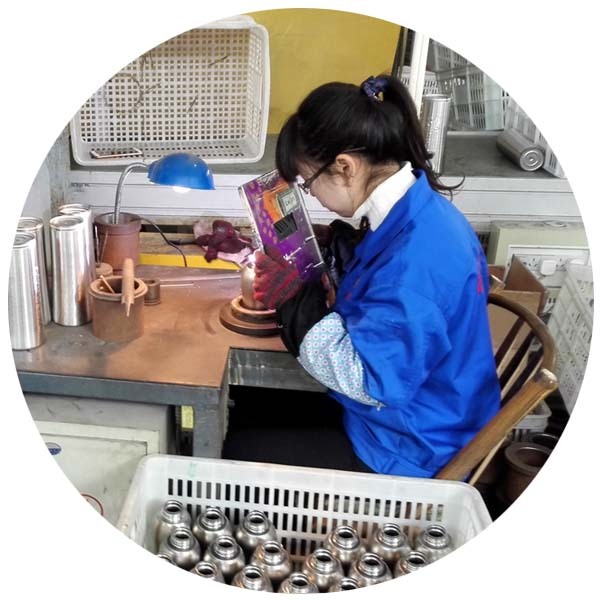 Our factories are both ISO 9001 and 12001 compliant for environmental and labor practices, and we have QC control the quality including Pre-production Sampling /Inline Inspection /Assembling +Packing / and Final Inspection for every shipment before leaving the factory. What’s the Averaged Lead Time for an Order? For amount less than usd5,000.00, 100% deposit with the order. Full series size is available for REACHING hydro flask. There are Hydro Flask 18oz, 20oz, 22oz, 32oz, 40oz. Besides that, Hydro flask 64oz is the largest thermos flask REACHING manufactures. It is excited and our honor to ship REACHING Hydro Flask 22oz, 32oz, 40oz from China to the USA. 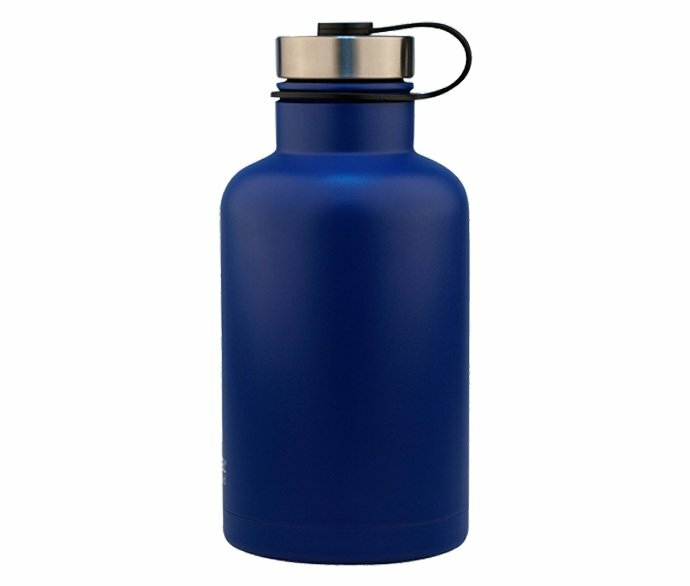 Various of lids are designed to match REACHING hydro flask thermos, including Coffee flip lids, Straw lids, and dual opening lids, etc.They are commonly used for the full size of REACHING Hydro Flasks, one flask match 2 or 3 different lids are the workable choice for bulk Hydro Flasks. REACHING Hydro Flask is awesome for advertising purpose. 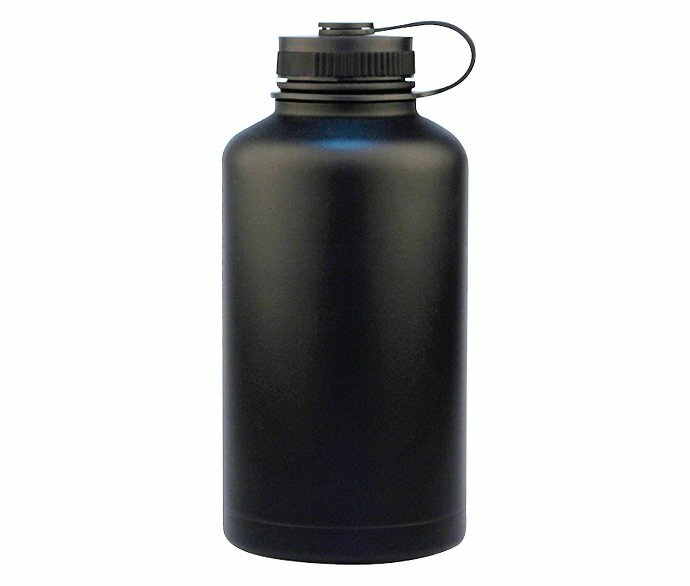 Laser engraving brands could be also utilized to Hydro Flask which custom your company labeled a vacuum flask. 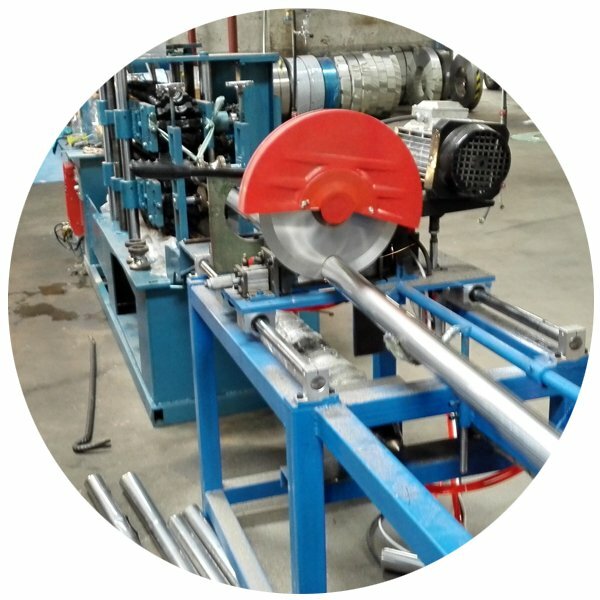 REACHING has world advanced Vacuum Pumping Equipment and High vacuum testing instrument, and Hydraulic pressure expand equipment as well as an assembly line, which ensure the stability of production quality for REACHING Hydro Flask. The day output capacity of REACHING Hydro Flask manufacturer bottles is 20,000pcs. Normally order on Hydro Flask could be completed within 35-40days from pre-production sample’s approval and raw material is ready. It’s the right time for you to custom your Hydro flask to promote your business. REACHING is your reliable Hydro Flask bottle manufacturer in China. You could count REACHING to boom your Hydro Flask business in a short period, and ship complete line of REACHING Hydro Flasks from China to the USA. You can check more styles and download PDF File here. If you are importing Hydro Flask Stainless Steel Water Bottles for your business, this guide will help you out. Chapter 1: What is Hydro Flask? Hydro Flask began in the summer of 2009 with an epiphany on a Hawaiian beach, when they launched the first all-insulated bottle line-up into the market and became a reality in beautiful Bend, Oregon. One of the country’s premier outdoor playgrounds. The company’s mission is to save the world from lukewarm. Hydro Flask is now the award-winning leader in high-performance, insulated stainless steel flasks and has recently expanded into the food and beverage industry with its food flasks and industry-first and only double wall vacuum insulted 64oz growlers. Using only high-quality 18/8 stainless steel, Hydro Flask delivers what people on the go have been looking for: a durable flask that keeps hots hot, colds cold, is stylish, 100% recyclable and is backed by a lifetime warranty. Hydro Flask continually strives to bring new, innovative solutions to their customers. From insulated caps to the lightest weight bottles in the insulated category, Hydro Flask dedicates to their products and culture. Hydro Flask now offers over 100 products in four different categories: hydration, coffee, beer and food. 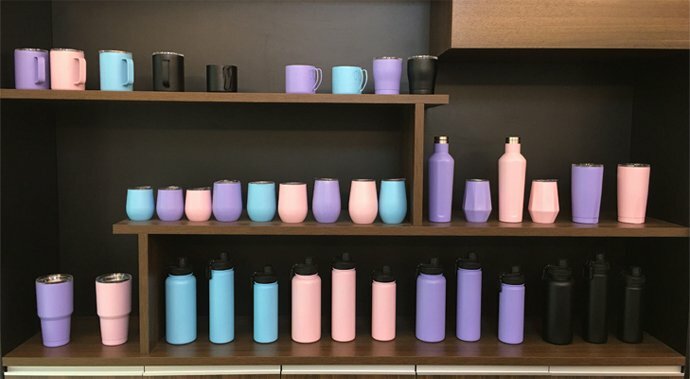 REACHING, a leading manufacturer of travel mugs, water bottles, tumblers, and flasks, announces its new trademark name, LaiKoe. REACHING successfully applied for, and registered Trademark LaiKoe in the U.S.A. in November 2018. 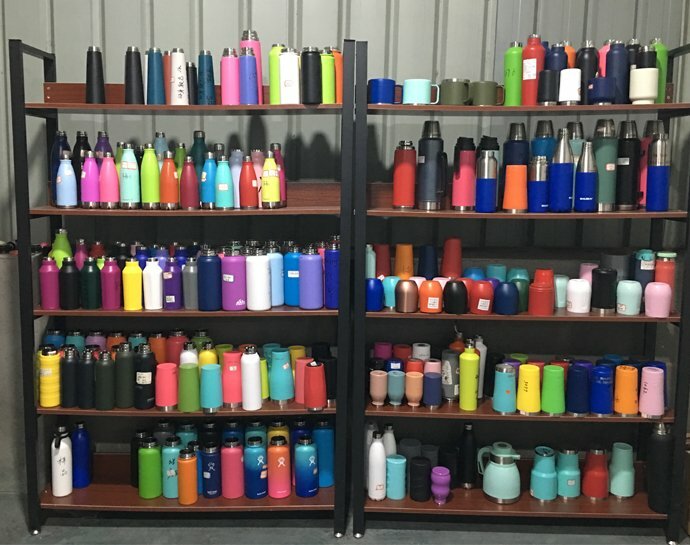 With the Trademark LaiKoe, REACHING is now expanding its market to the U.S.A., aiming to provide custom solutions in the travel mugs, water bottles, flasks, and tumbler industry. Going forward, REACHING products will be available as LaiKoe Travel Mugs, LaiKoe Acrylic Tumblers, LaiKoe Sports Water Bottles, LaiKoe Hydrated Flask, LaiKoe Food Flask, and LaiKoe Coffee Makers. As you know Hydro Flask is made in China. LaiKoe is the professional Hydro Flask Manufacturer in China now. LaiKoe’s value: We Pay, We gain. LaiKoe’s Mission: Make hydration easier! Make clients richer! Make earth greener! Make air fresher! Make the sky bluer! 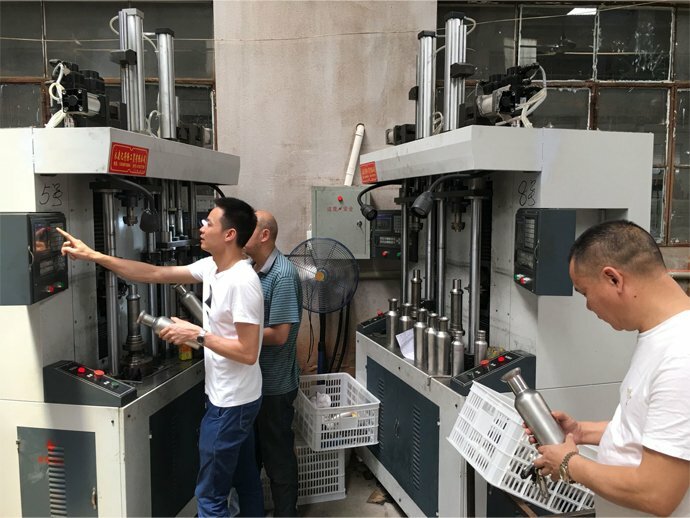 LaiKoe Becomes Professional Hydro Flask Stainless Steel Water bottle Manufacturer in China after years of Studying, Practice and Improving. 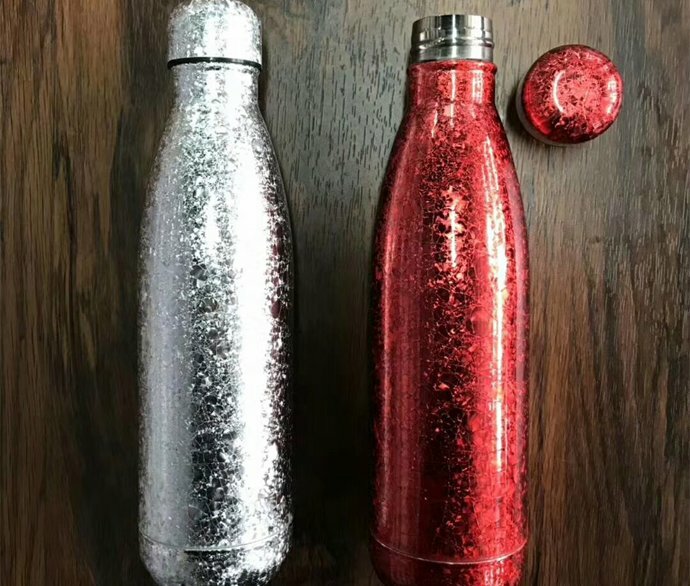 LaiKoe has realized The day output of Hydro Flask Stainless Steel Water bottle 20,000pcs in the passed 2018 Summer, with maximum monthly capacity reaches 600K excess all old data on the high output of Hydro Flask Insulated Flask. 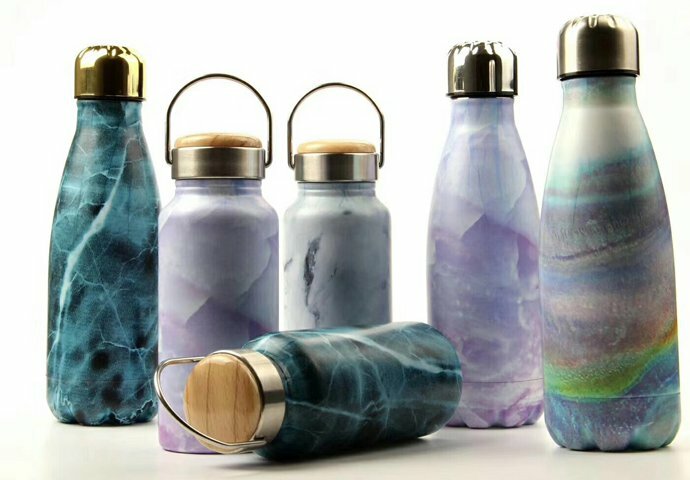 LaiKoe has developed Full series over 20 styles of Hydro Flasks Stainless Steel Water bottles, covering Hydration, Drink, Food and Store all areas. LaiKoe Hydro Flask Stainless Steel Water bottle has various capacities ranges from 12oz, 18oz, 20oz, 21oz, 24oz, 32oz, 40oz, to 60oz, providing lots of choice for Men and Women, Boy and Girl, Kids and Adults, Pupils, Students, Worker, Office managers, etc. LaiKoe – Hydro Flask manufacturer has 12 styles of Lids and Caps to match those Hydro Flask Stainless Steel Water bottles. 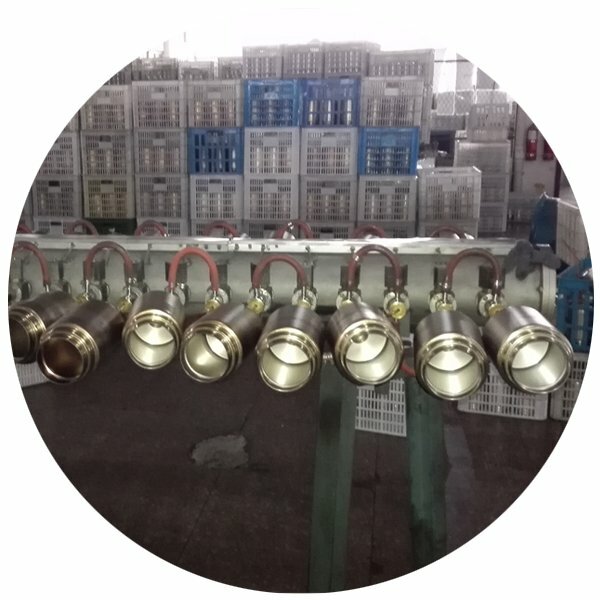 All these lids are specially designed to match the bottle shape, size, maximum capacity, using situation, Proper costing, to ensure the easiest hydration while in safe way. Laikoe is trying to present the maximum values as Hydro Flask Manufacturer in China. LaiKoe is exploring Huge Hydro Flask Stainless Steel Water bottle with capacity of 0.5Gal (1.9Liter) and 1.0 Gal. 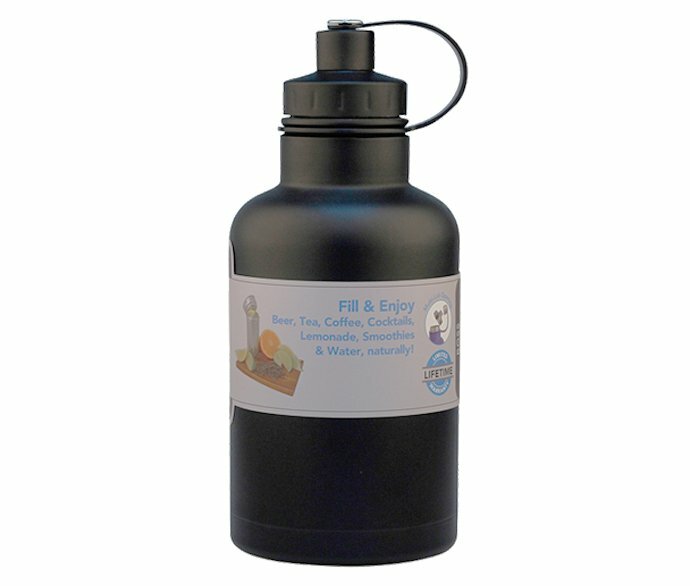 (3.8Liter) With one Giant / Jump / Huge bottle at hand, you could bring tones of Beer/ Wine / Alcohol with you with all temperatures you like best, anytime, anywhere. Chapter 3: What’s the advantage of LaiKoe to make it in China? REACHING is one of the professional Hydro Flask manufacturers in China. With own brand of Laikoe, Reaching is pleased to be your reliable and premier High-quality Hydro Flask manufacturer. REACHING (Brand LAIKOE now) starts Earliest on handling double wall 18/8 stainless steel insulated vacuum flasks and sports water bottles from 1995. REACHING is proud to professional Hydro Flask manufacturer and exporter in China. As known worldwide, China is developing so quickly since economic reform in 1985, based on powerful labor source, skillful workers, export-oriented policy and increased logistic capacity. China factories have been chosen and developed to world factories. 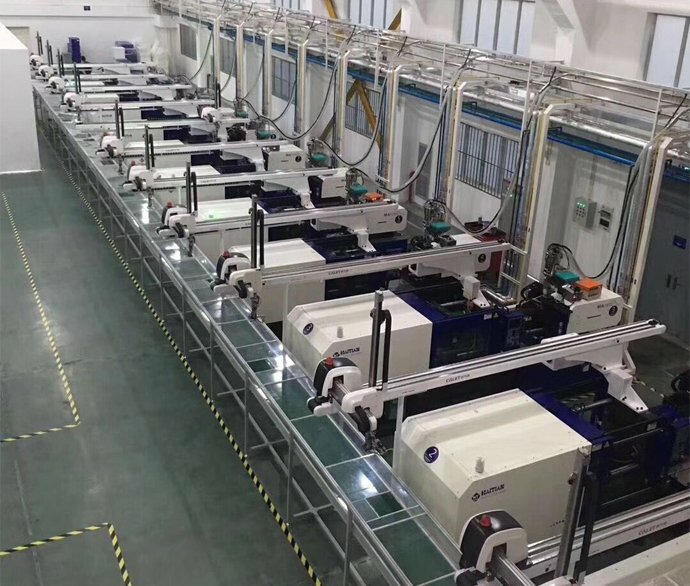 The bright future of China’s economic development and China’s huge market potential have attracted a large number of multinational companies to invest in China to build factories. They implement R&D, Procurement, Human resources, Products, Sales channels and other localization strategy, all-round integration into China’s economy, has made great gains accordingly. Lots of world top 500 enterprises get benefits by Researching, Developing and Selling their products or Providing their service in China, as well as selling goods manufactured by China maker like LaiKoe – Hydro Flask Manufacturer which saved high percentage of cost and enlarge their profits. LaiKoe is very lucky to locate itself at base of light industry and hardware in Zhejiang Province, East China, mainly In Ningbo, Yongkang, Taizhou, Wuyi, Jinyun, Jinhua, Jiaxing, Quzhou, Ninghai. 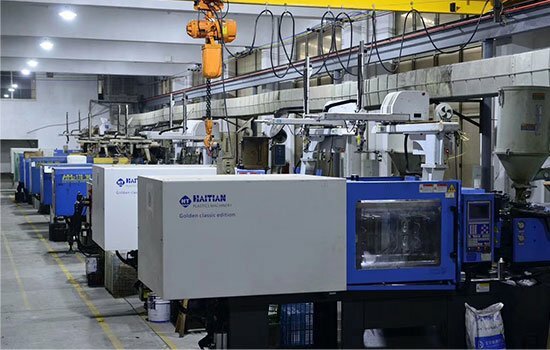 There are thousands of processing factories connected with Drinkware in the material of Stainless Steel and Plastic, including Style design, Molds making, Plastic injecting and blowing, Raw material importing and pre-treating, Metalworking, Electrolyzing, as well as Powder coating supplying, Spray painting, Powder coating, Printing in a different way, Laser engraving, Loading container and timely sending goods to Seaport and Airport in Ningbo or Shanghai. 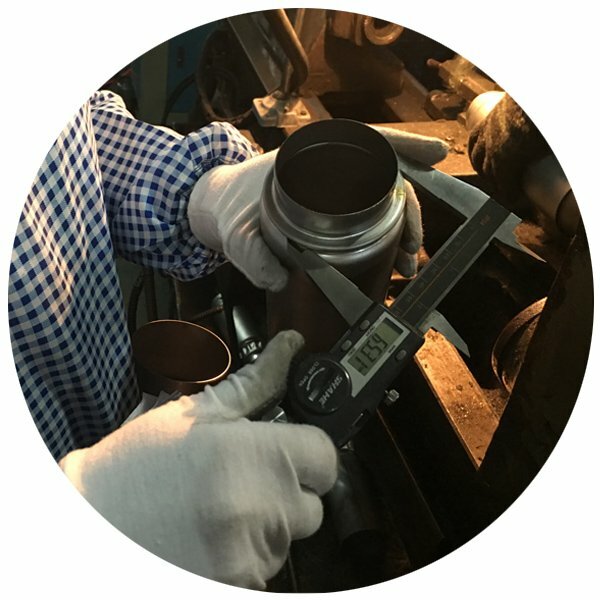 In some area, Even there are groups dealing with peeling off the defective printing or coating on mugs and bottles, to make the final products less waste and lower cost for clients. LaiKoe Hydro Flask manufacturer facility is responsibly and care for each drinkware order. 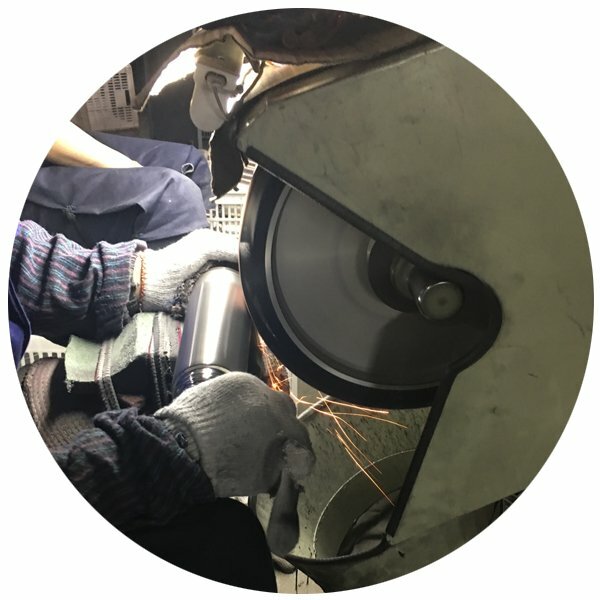 REACHING has personally visited the factory to be sure of the best possible working conditions and are very proud to say they also meet international standards. 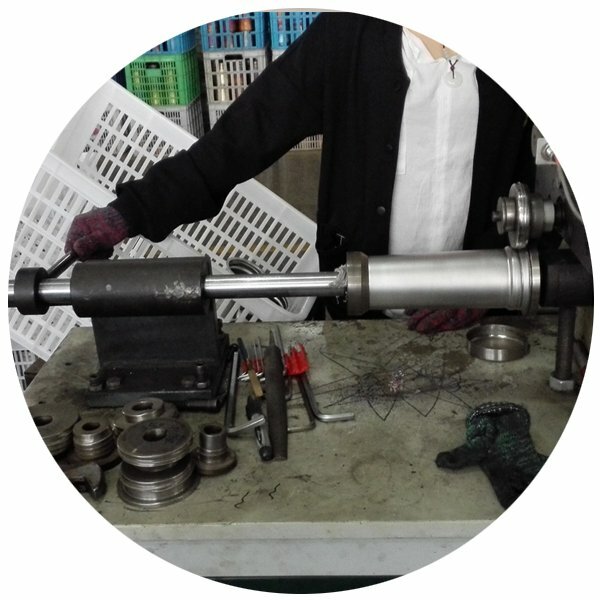 REACHING (brand LaiKoe) manufacturing operations meet high standards of quality (ISO 9001 / ISO 12001), safe and fair labor (BSCI or other Factory Audits, No unaged worker, No Sexual disturbance, No Discrimination ), ethical business, and environmental responsibility. Same as REACHING’s mission to use more re-useable Steel Bottles and Hydro Flasks Stainless Steel water bottles to less pollution, all Reaching ((brand LaiKoe) member knows we have only one earth. 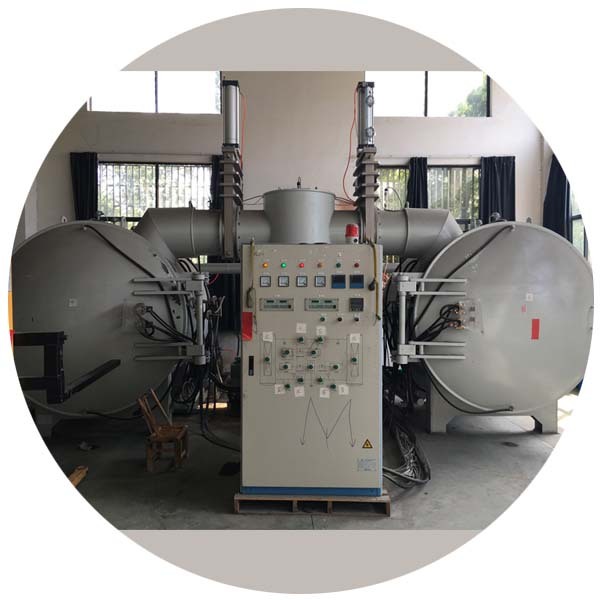 Adequate Equipment and Facilities have been added for environment friend emission, although it leads to investment cost increasing and dairy operation cost rising. REACHING factories are compliant for environmental and labor practices through so many years working hard in the drink bottle fields, Reaching ((brand LaiKoe) ) Has picked out those superior parts and outside processing partners, and collected all supply chains to meet clients strict requests in high quality travel mugs, coffee tumblers and sports water bottles with timely delivery. Based on above firm ground, REACHING (brand LaiKoe) is of full capacity to provide clients with high-performance, insulated stainless steel Hydro flasks, bottles, mugs and tumblers. 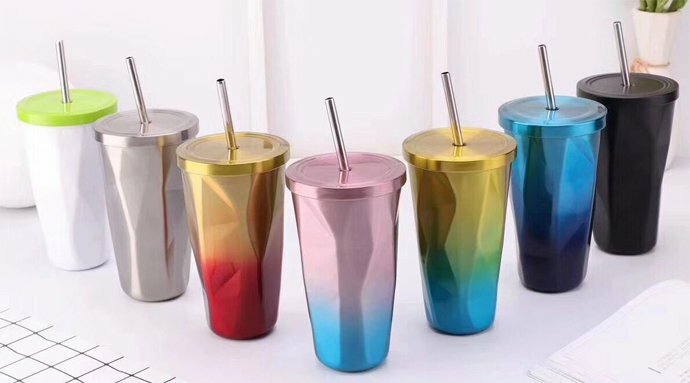 All Reaching drinkware are made in China and accepted by clients from USA, Europe, Japan, South and East Asia countries, South America and other countries. To make a conclusion, REACHING (brand LaiKoe) is your premier Hydro Flask manufacturer in China with more reasons listed below. 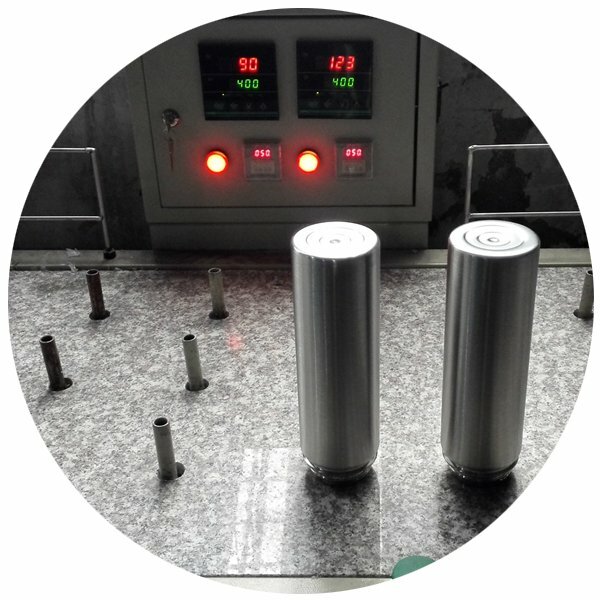 LaiKoe Hydro Flask Manufacturer locates in Yongkang, Zhejiang Province, the captain of hardware, has built with whole supply chains from Raw material, Equipment from cutting, water expansion, shaping, screw, shorten mouth, wide mouth, welding, leakage testing, vacuumizing, to electricity and polishing. Also including printing (silk screen, heat transfer printing, air gas printing, uv printing), painting, coating, packing etc, as well as transporting, Port with lots of vessels to everywhere of the world. 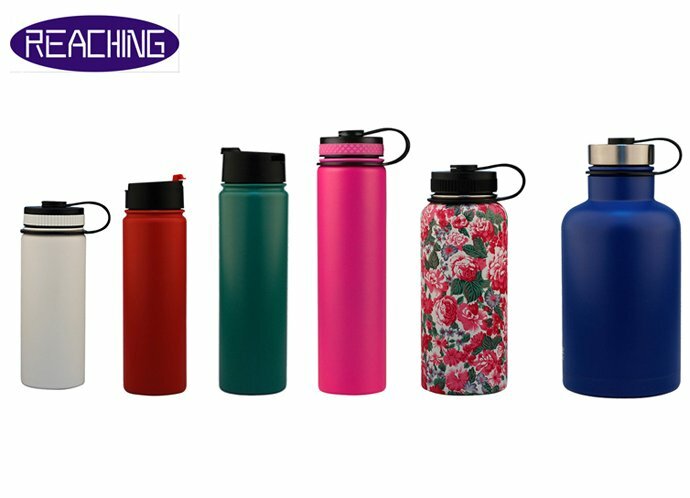 World top cups and flasks brands like Thermos, Starbuck, Contigo, Yeti, Swell, Decathlon, Tiger, Zojirushi has regarded Yongkang as their foundation base of Stainless Steel Water Bottles, Vacuum Flasks and Travel Mugs. 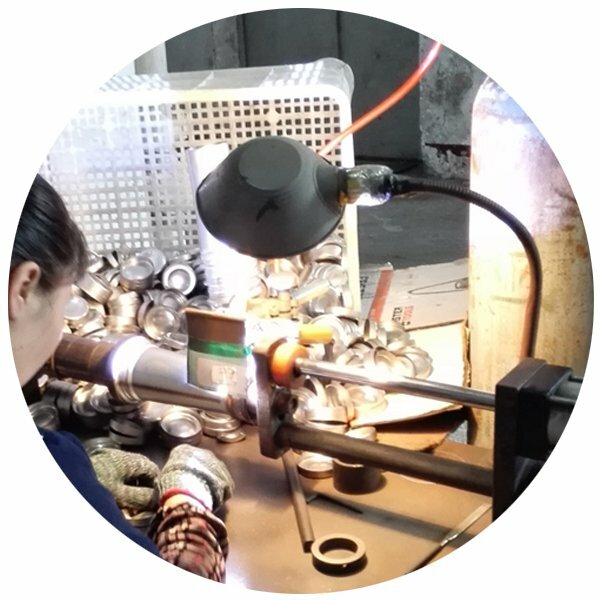 Laikoe has been engaged in production and export Double wall stainless steel over 20 years, mastered knowledge on most processing steps, helped customers make adjustments in cup and flask projects, accumulated lots of experiences in Exploring new and popular styles. 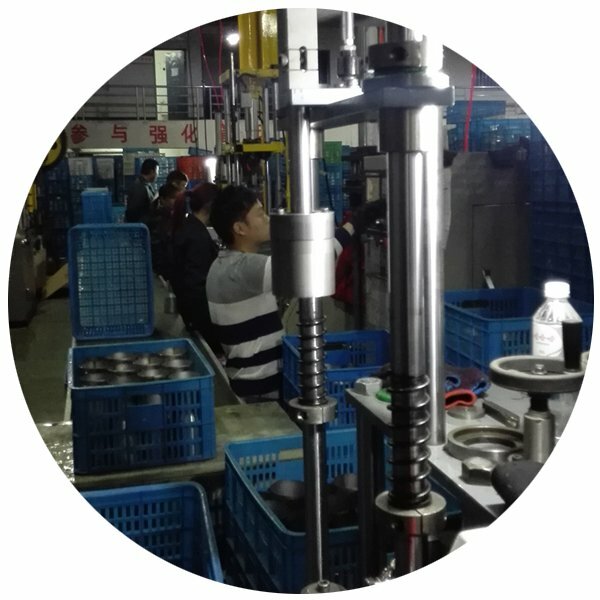 Our team is trained to develop custom ideas into true products with aim of professional teams around China. Laikoe Hydro Flask manufacturer in China, is courage by China administer to improve from “Made In China” to “Create In China”. OEM and ODM business is more and more welcome to China, especially to Laikoe – Hydro Flask manufacturer in China. 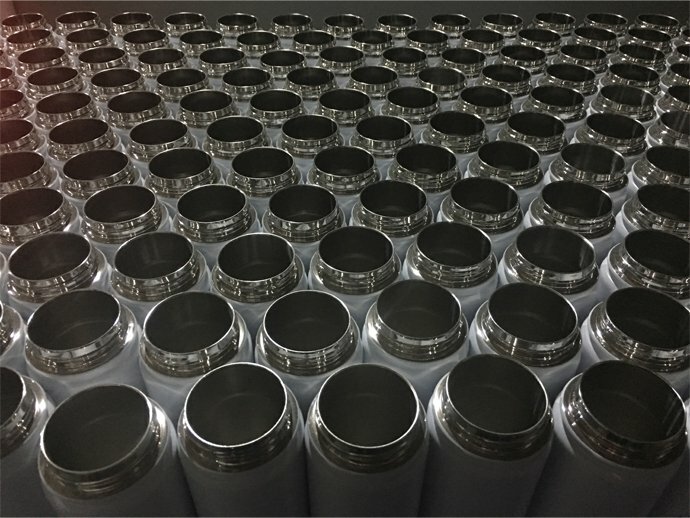 Thanks to the low labor cost but skillful staffs, Laikoe Hydro Flask single / double wall products could market with high quality but low price dairy necessary. It helps the seller to explore market continuously and occupy more market share. 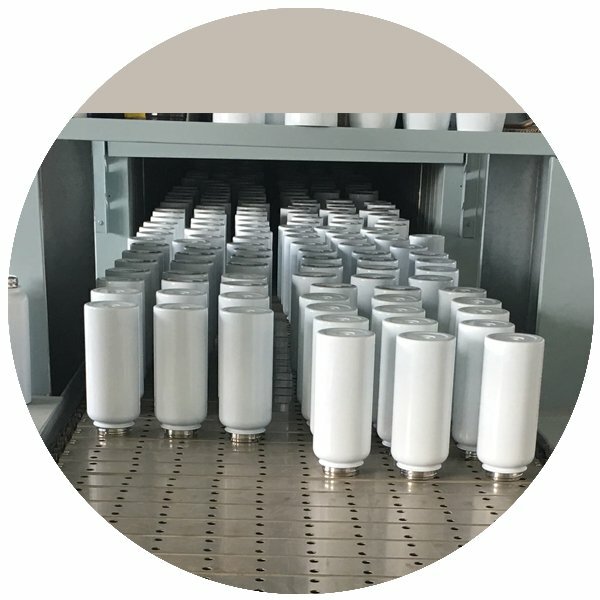 REACHING (brand LAIKOE) is the High Quality China (Mainland) Hydro Flask Manufacturer and Exporter, supply with high-performance, insulated stainless steel flasks, trusted as Verified / Experienced Agent of Hydro Flask from China (mainland), behaves on Consultant of Quality Hydro Flask Facility. Chapter 4: What are main styles of Hydro Flask? At the very beginning, there are only 2 styles of body available with totally 5 different ounces of Hydro Flask. Later, Hydro Flask is mainly divided as 4 styles with 7 different capacities. Hydro Flask with Para-cord Handle is welcome in some state in usa from 2017. Hydro Flask with straw are hot seller to drink both water, coffee, tea, milk etc. Chapter 5: What is the advantage of Hydro Flask? If it is countable, Trust there is over ten thousand words to express Advantage of Hydro Flask. Drinking Safety, High Performance for Hot and Cold Beverage , Awesome looks, these 3 points shall be the fundamental essential requests for Stainless Steel Vacuum Insulated Flask. Besides big Hot brands like S’well and THERMOS, Hydro Flask is even more Hot Seller in North America specially. 1. Hydro Flask is one more professional Insulated Vacuum Sports Water Bottle, thus there is much more strict demands on technology used and quality control measurements. It wins much more favorable comments in North America area compared with Thermos and Zojirishi, concentrating more in outdoor activities. 2. 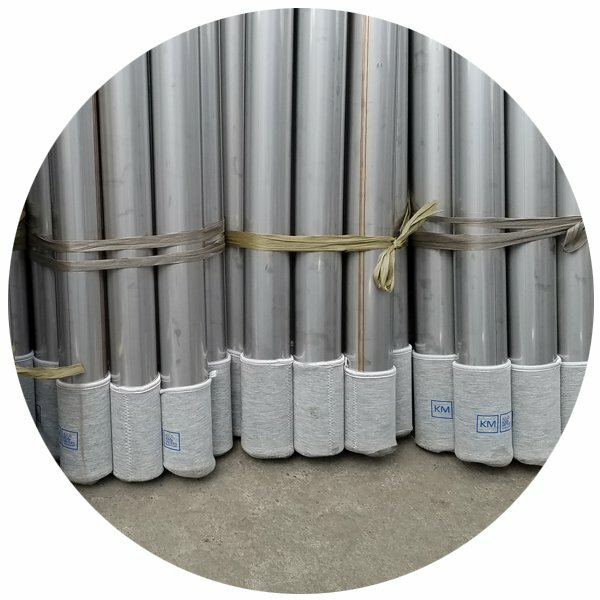 Food grade material of 18/8 stainless steel, super nice and reliable. Stainless Steel that contains chromium, because of chromium’s ability to prevent oxidation and rust. 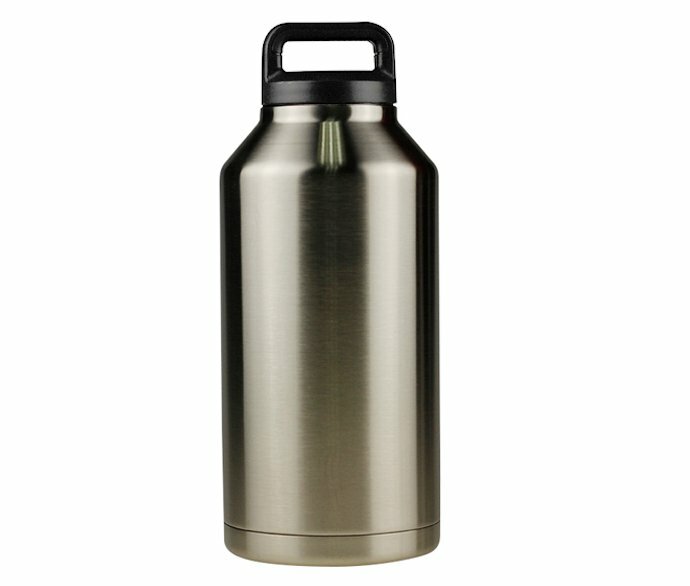 Hydro Flasks are made with 18/8 stainless steel, which is 18% chromium, 8% nickel and 74% iron. 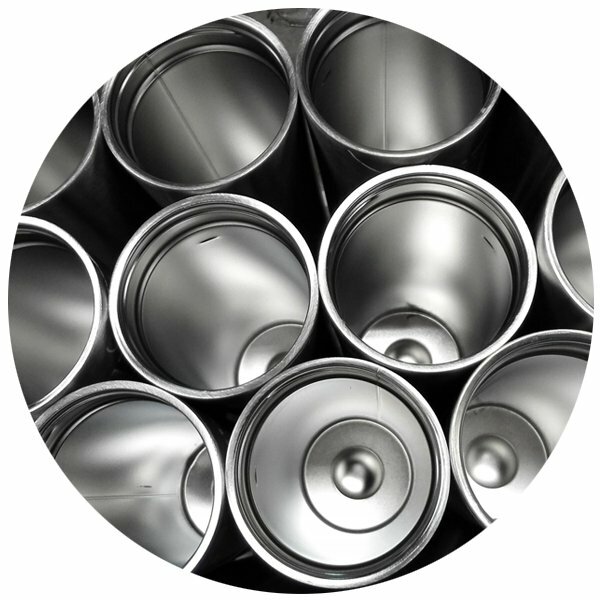 This is a food grade and most common type of stainless steel used in bottles and kitchenware. safety is top-of-mind, Hydro Flask water bottles are all made out of non-toxic BPA-free plastics & 18/8 food-grade stainless steel. Corrosion resistance – aesthetic appeal – heat resistance – low life cycle cost – full recyclability, biological neutrality – ease of fabrication and cleaning. Food grade Stainless Steel is applied, only the strong acid and strong Oxygen could get it oxidized. Thus it behaves well for Cola and Beer, there is very few brands could roll the ball like Hydro flask. Meanwhile Hydro Flask does not occur smell, no metal taste of water, tastes excellent, it is antibiosis, PHTHALATE Free and BPA Free, easy to get cleaned. It is reported that in 2016, the average American used 167 disposable water bottles, but only 38 get recycled. To protect our earth mother, no hesitate now to Hydrate at its best – Carry the water you need to reduce your impact on the environment. 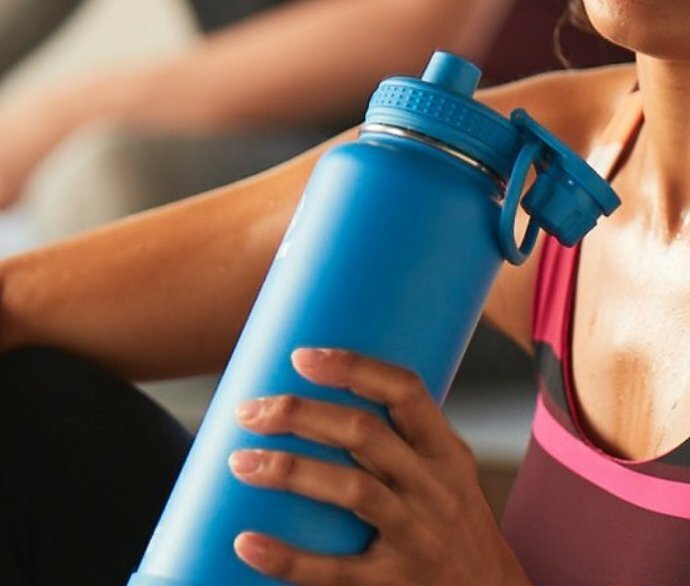 One Hydro Flask can last for decades, making it easy to stop buying buying single-serve bottled water to fulfill your everyday hydration needs. The stainless steel material Hydro Flask helps to protect our earth from less pollution for longer and sustainable development. 3. 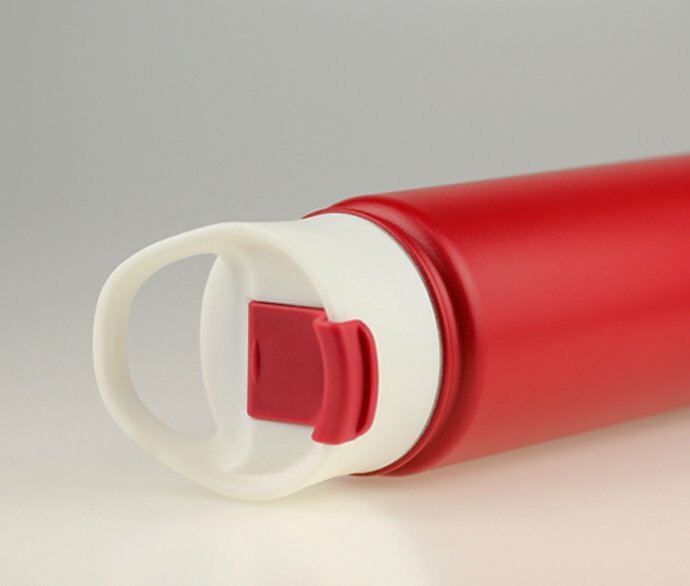 The Powder Coating of Hydro Flask is of no toxic and of food grade, also Slip-Free Grip. 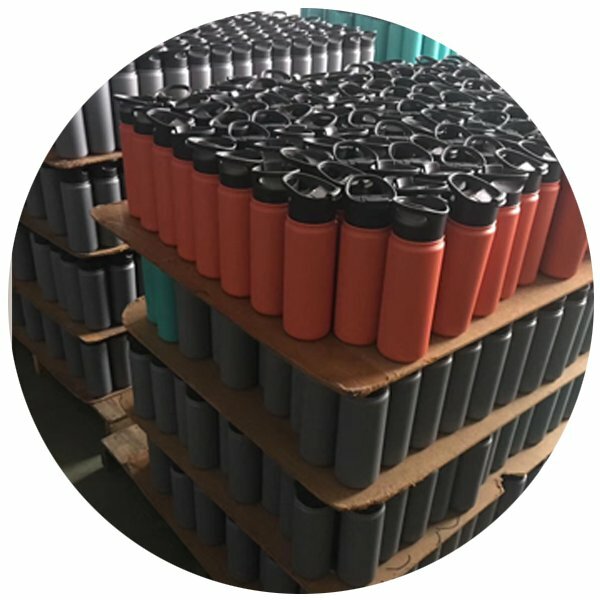 For Hydro Flask, the coating powder is of food grade and with no toxic, same as the printing ink, they both reaches high grade of good, users and fans could enjoy it timely hydrated with no worry. The Powder coating on the surface of Hydro Flask bottle outside gives you a solid grip. It works with the premium insulation, prevents condensation from forming on the outside of the bottle, satisfy exactly what you demand in an everyday refreshment delivery. 4. Thanks to double wall vacuum insulated technology, Hydro Flasks have no liner (like most aluminum bottles). It is Safe and the first choice to contain Tea, Carbon water, Milk, Coffee, Ice, Juice in Hydro Flask. 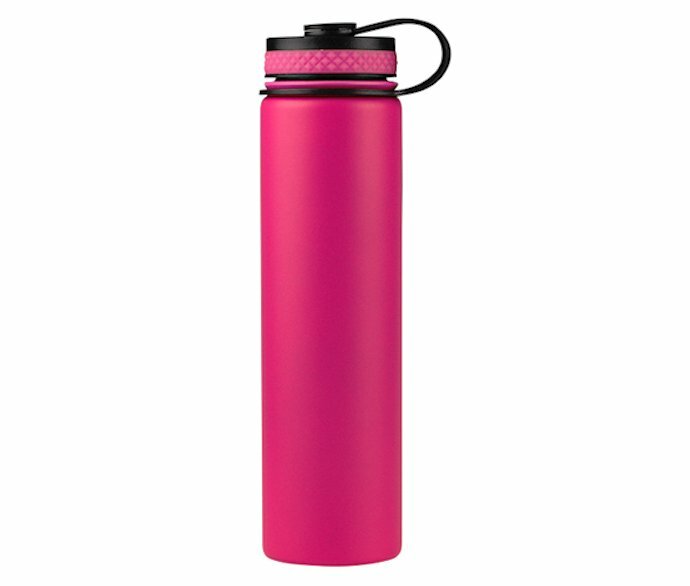 Hydro Flask keeps your tea at the perfect temperature cold or hot, so you can stay refreshed for any adventure. Tea stays cold for up to 24 hours and for hot up to 6 hours. 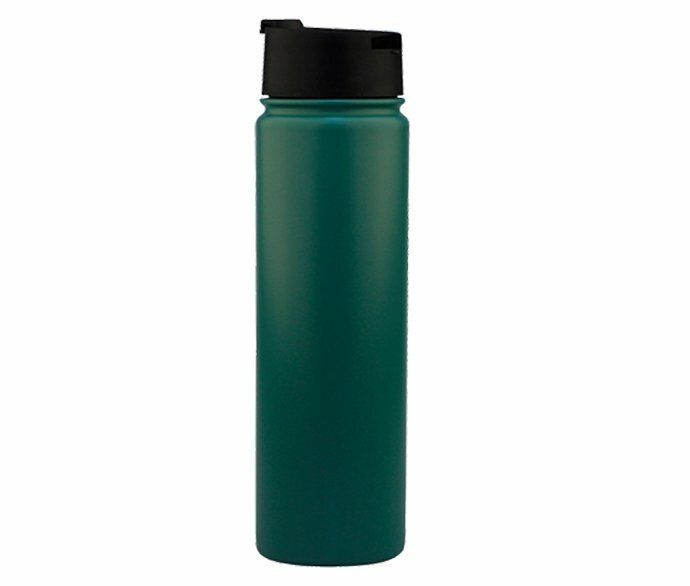 Using Hydro Flask as beverage container, At room temperature of 26 Celsius Degree (78.8 Fahrenheit degree), the boiling hot water could remain temperature of 58 Celsius Degree ( 136.4 Fahrenheit degree ), while keep cold for whole day long. Hydro Flask is the ideal hydration companion for those long days in the office or a full day on the beach or other adventure. 5. Hydro Flask varies with different top mouths. Full series of Lids are designed to match the different Hydro Flask mouth. The standard mouth of Hydro Flask is the perfect sipping size, while accommodating ice cubes easily. Hydro flip lid fits Hydro Flask bottle well. 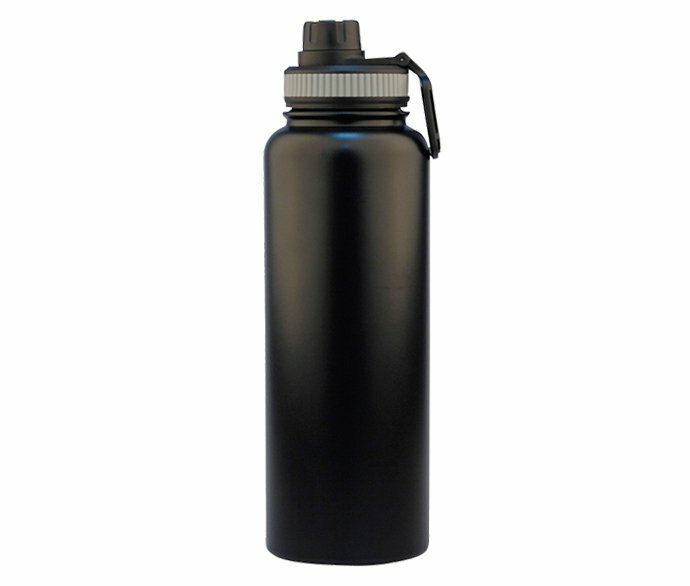 Wide Mouth Beverage bottle Hydro Flask works for Both Hot & Cold, EASY TO ACCESS YOUR WATER. Perfect for all-day hydration, our 32oz insulated bottle keeps you going strong. The wide mouth aspect also fits most backcountry water filters. 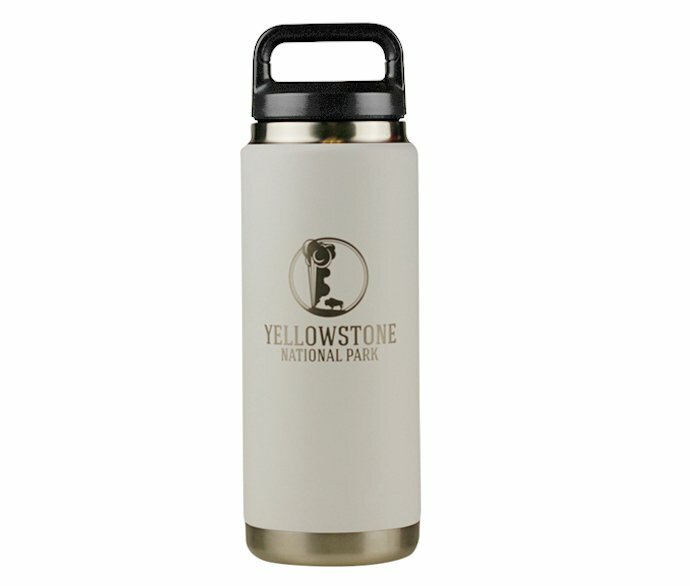 Featuring our Insulated Spout Lid for easy controlled, one-handed drinking and all day carrying comfort. 32 ounces of pure refreshment. Guaranteed. 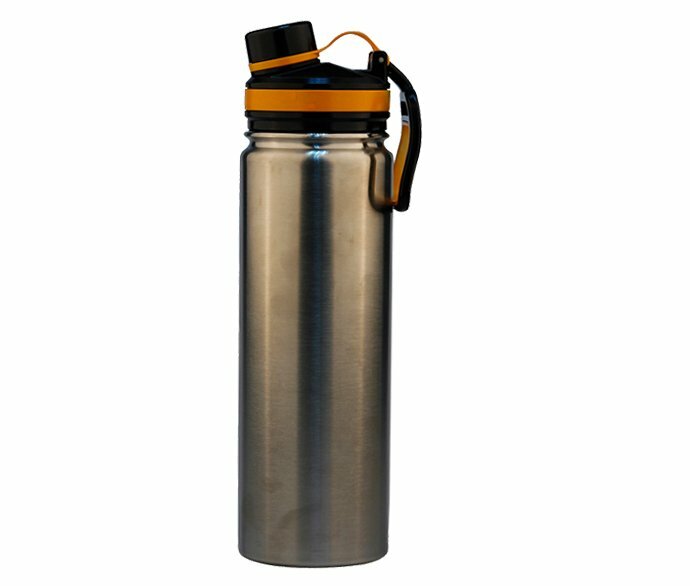 When using Stainless Steel Thermos Sports Bottle or Vacuum Flask, Do you worry about leak in your backpack or your drink holder of your car? 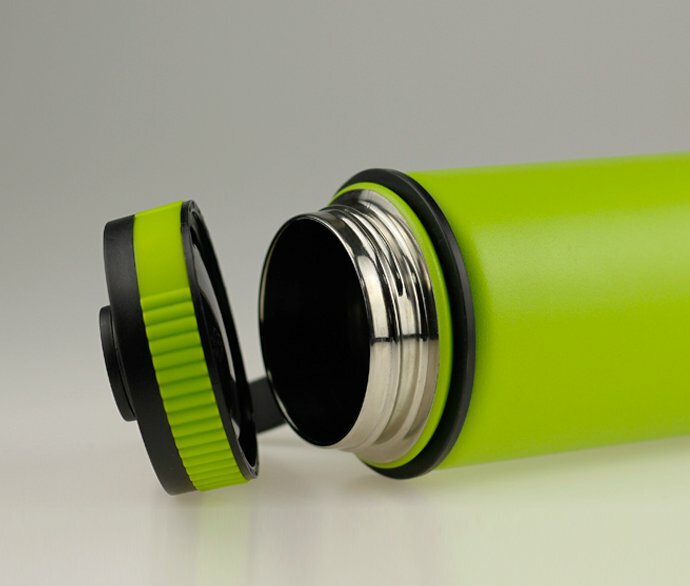 Threaded Lid will match Bottle Screw exactly to ensure water inside Hydro Flask does not leak and wet your bag. The new Flex Cap is designed for ultimate portability and easy-carry comfort. BPA free. For some styles, special lid for sip is matched for ultimate sports demands, to match Custom Hydro Flask. It’s definitely YES when being asked “Do you use a water bottle?”. The key point is What is your favorite? In fact, Millions of fans and final users have approved and suggest, to have a perfect Hydro Flask for any adventure like Hiking, Camping, Riding, Surf, Climbing, as well as used inside Office and at Home. Easy carrying and Durable are also big advantage of Hydro Flasks. 6. The Right size for Container, Drink holder and Your hand. The well designed size of Hydro Flask water bottle meets your everyday hydration needs in one container, or keep it piping hot or ice cold and fitting comfortable and conveniently in your hand or your vehicles’ cup holders. Chapter 6: How are Hydro Flask made? HOW ARE VACUUM INSULATED STAINLESS STEEL WATER BOTTLES MADE? The reply could be summarized as Hydro Flask Manufacturing Process Made In China. 6-1.What materials are used for Hydro Flask? We still use Question-and-Answer format to answer these questions. 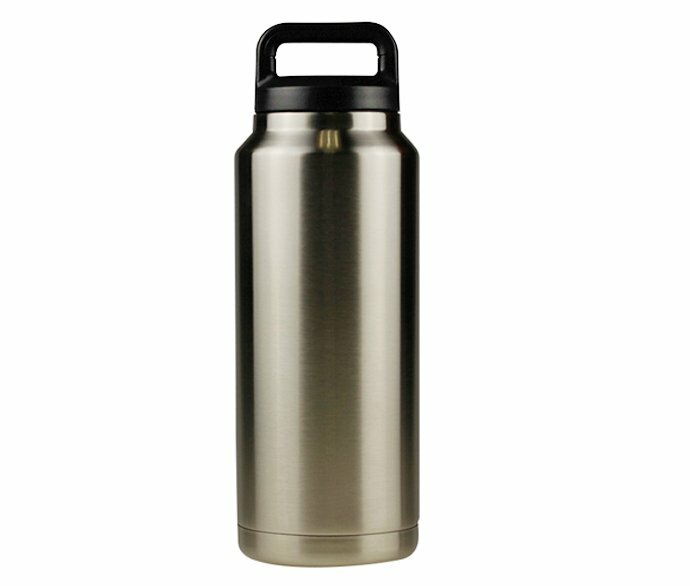 Q: Is Hydro Flask stainless steel? A: Yes its material is High quality Food grade stainless steel. There are over 150 grades of stainless steel, and there are around 15 grades that are commonly used that are suitable for an outdoor or kitchen environment. 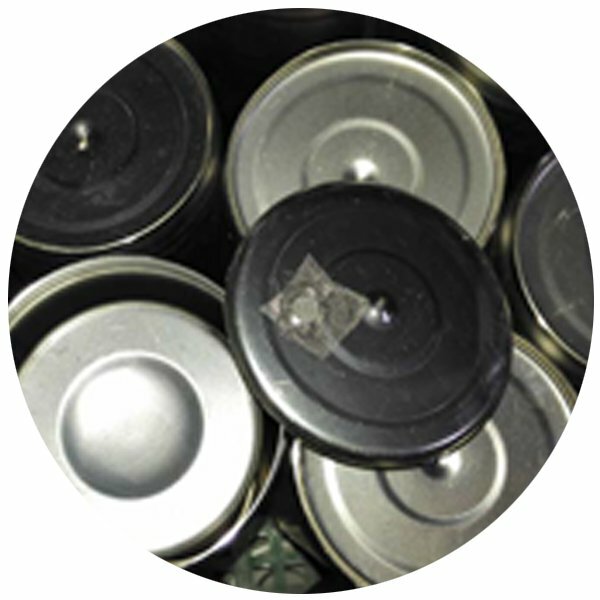 It does not easily corrode or rust except in low-oxygen, high-salinity environments. 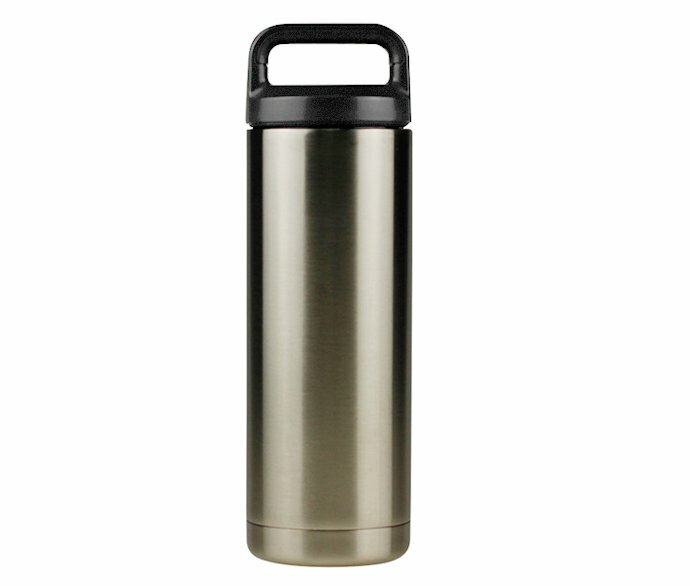 Q: What type of Stainless Steel Hydro Flask uses? A: Normal Raw material is Cold rolled Steel coil.Before 2000, lots raw materials are imported Stainless Steel from South Korea. 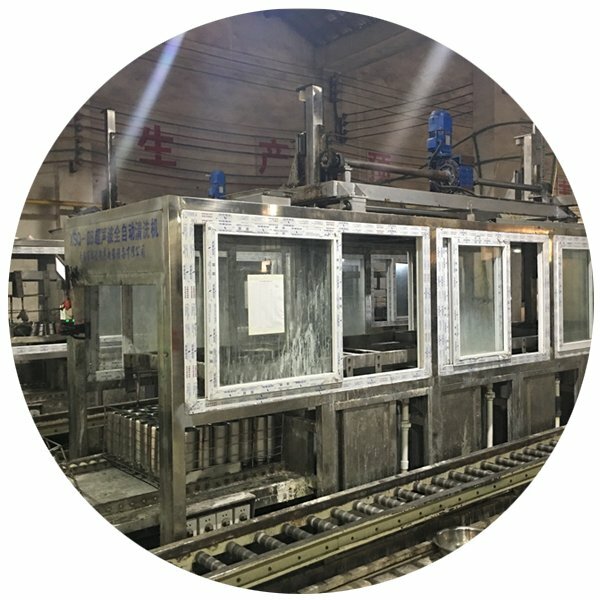 With the Technology and Strength developing of China Iron Industry, the China domestic Stainless Steel replaced most of imported stainless steel raw material. 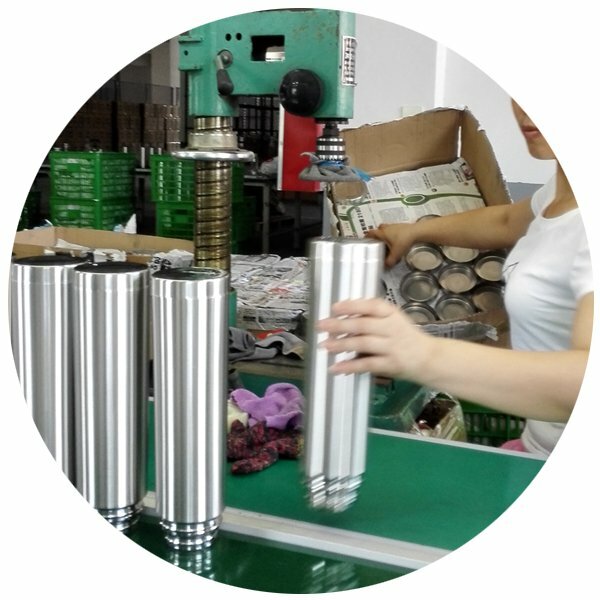 Some brands raw steel are more suitable for drinkware manufacturing and more reliable, like ZPSS, SKS, Hydro Flask uses ZPSS till now. 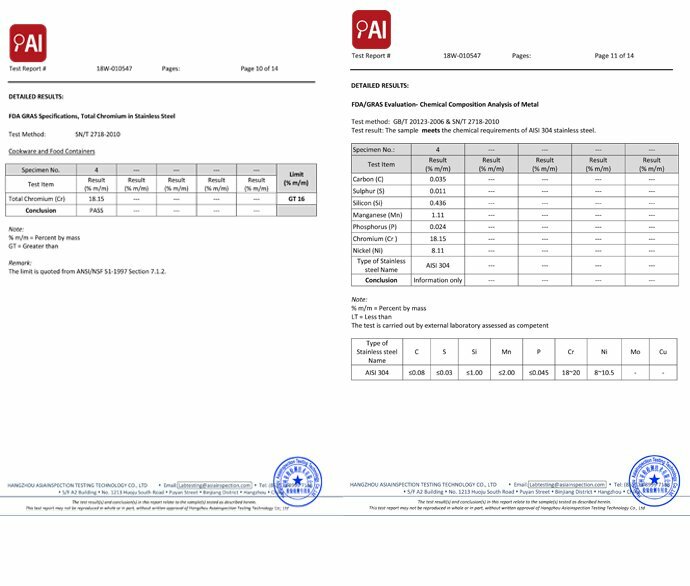 Quality Inspection report is a must to ensure the stainless steel is of correct element ratio and suitable for producing stainless steel water bottles. Q: Can a Hydro Flask rust? A: No, it does not easily corrode or rust in Conventional use except being continuously used in low-oxygen, high-salinity environments. Q: Is there any lead in steel? A: No, it is lead free in such 18/8 stainless steel. A: Yes there is Steel 304 behaves much more better than Steel 201, in both Processing and Surface Finishing. 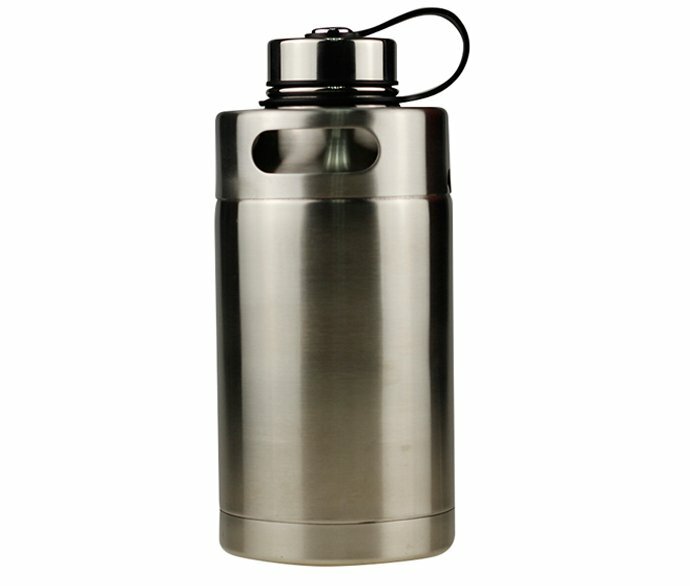 Hydro Flask use Steel 304 instead of Steel 201. 304 stainless steel is one of the most desired and widely used grades of stainless for tableware area. Durability and beauty have made this 304 the hottest grade on the market. Type 304 stainless steel is a T 300 Series Austenitic Stainless Steel. It has a minimum of 18% chromium and 8% nickel, combined with a maximum of 0.08% carbon. 201 stainless steel is not very corrosion-resistant, but low cost has made it more and more commonly used. Austenitic alloys, like 304, these alloys are not comparable to 304 in terms of durability and resistance to corrosion. They were created to cut the cost of Austenitic alloys by replacing most of the Nickel with Manganese or Nitrogen. The problem with this is that neither Manganese nor Nitrogen are nearly as resistant to corrosion as Nickel. These alloys do not stand up to the elements nearly as well as 304. Q: Are Hydro flask bottles BPA free? A: Hydro Flask bottle body is in material of Aviation Grade Stainless Steel, Matched with Virgin Raw material plastic lid and medical grade Silicone seals, these Hydro Flask bottles are BPA free, Lead Free and Phthalate Free, safe to load water and beverage for drinking. 6-2.What is Hydro Flask producing standard? 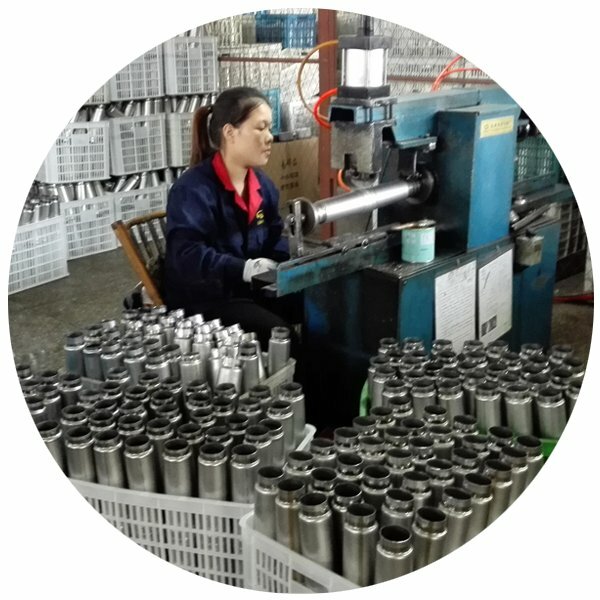 There is high class Hydro Flask producing standard to strictly executed during the whole manufacturing period. Based on the European Standard EN12546-1 Thermo Test with insulation function over 24 hours, this Technical Info is followed-up from beginning to end, all Hydro Flasks are produced with consistency and reliable quality get controlled. 6-3.What about Hydro Flask Lids? 6-4.What’s the common way to branding Hydro Flask Stainless Steel Water Bottle? Technology develops so quickly that so many Surface furnishing options and LOGO WAYs are there for choice. For the most economic surface finish is Brushed Stainless Steel Native Silver. Logo could be realized by Silk screen printing, Laser engraving /Eroding, Debossing or Embossing, Water Transfer Printing, adding directly onto this finish. Colorful Spray painting is also popular to use. It could be transparent painting, semi-matt painting or matt painting. For this finish, logo could be added by Heat transfer printing, Air Gas printing, Laser Engraving, UV printing. Lead Free Powder coating is the latest finishing way. 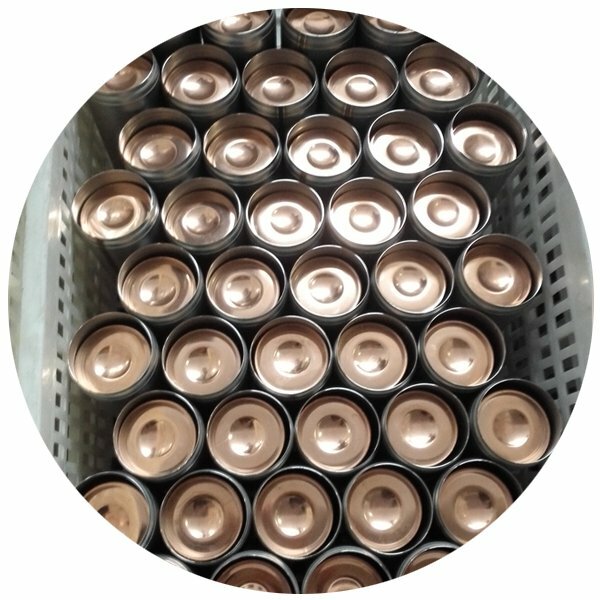 Compared with Spray painting, Powder coating has advantages of much durable and stable of the coating layer. Logo could be made by One color Silk screen printing, UV printing (multi colors logo is available). Gradient coating is hot seller from 2018. 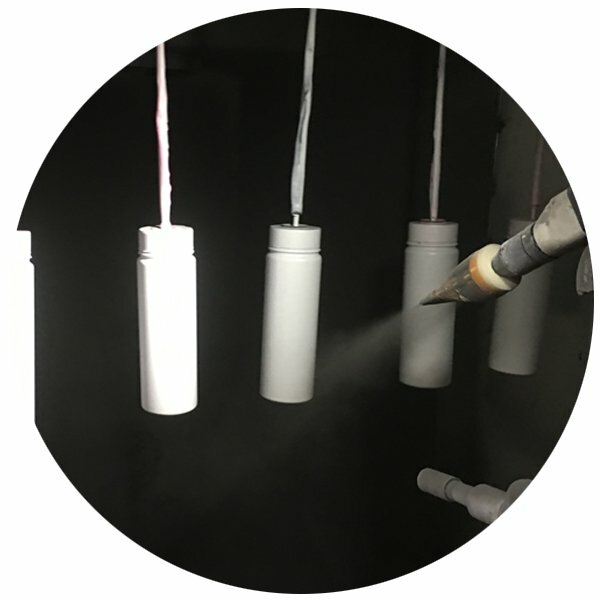 Glowing bottles / flasks / mugs could be completed perfectly by powder coating. Electroplating: most deluxe and amazing surface finish way. 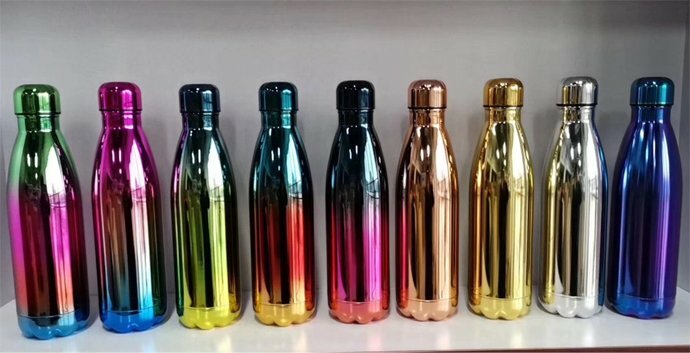 It is so shiny, the bottle / flask / mug surface looks like real mirror, lots of colors could be realized there. Single color or mixed color could both be produced. Electroplating is really magic and amazing. For multi-color electroplating, each product is of unique design, no exact same color display could be found in mass printing. The surface could be semi-matt, shiny, crack. Different logo ways have its own advantages and disadvantages. Silk printing: most reliable printing way in durable, but limited by logo color quantity, flatness of printing area. Heat transfer: could print multi-color logo in one time, but limit by bottle shape, cannot full cover the outer surface. Water transfer printing: could print different colors in one time. Disadvantages: logo will be some shape changed, unavoidable pollution. Air Gas printing: could print different colors all together, could full cover even the round bottle surface. The only disadvantage is there is slight fading for patterns with special dark colors and ship in hot season. UV printing: Have 3 dimensions logo, attractive hand feeling, could add different color logo onto Powder coating surface. Disadvantage: cost is expensive, logo could be scratched by nail intentionally on dark powder coating surface, special painting need be added to ensure the durability. 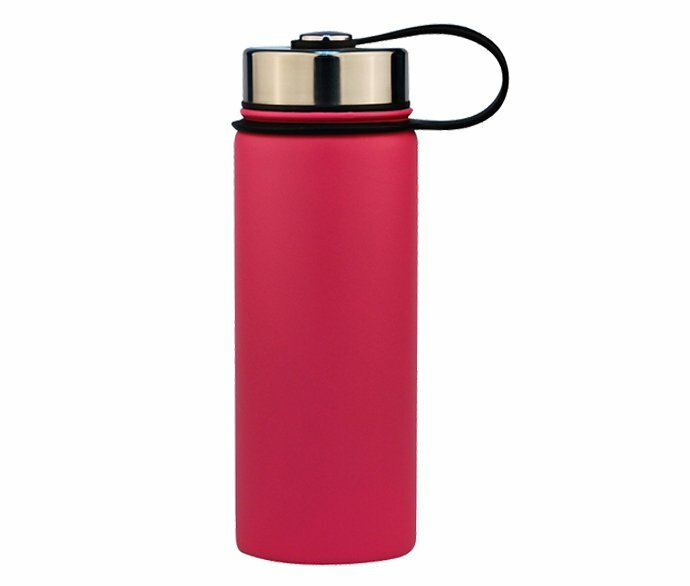 6-5.What are testing standard of Hydro Flask? 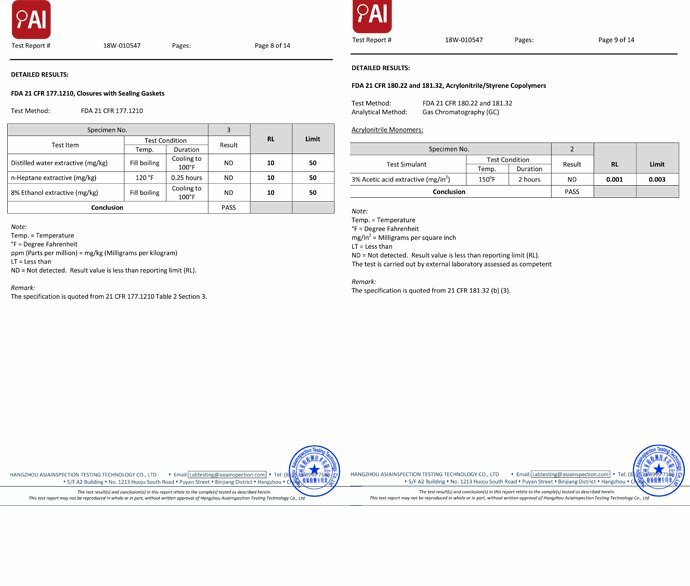 Certificate / Test Report is firm ground to help Hydro Flask wholesales / Importers / Distributors / Dealers to explore and expand the Sports Drink water bottle market. Including 18oz (500ml), 20oz (600ml), 22oz (650ml), (960ml) 1L Stainless Steel Hydro Flask Thermos With FDA LFGB test. FDA test meets USA and Canada market requests for food grade drinkware and safe drinking. LFGB satisfy the demands of Europe markets. 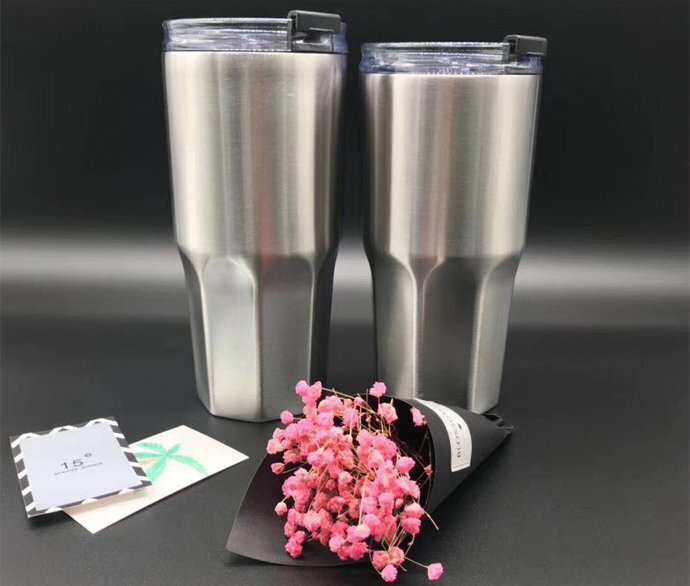 There are More detailed requests as following for drinkware like Hydro Flask, Stainless Steel Sports Water Bottles, Coffee Tumblers, Travel Mugs shipped to USA, Canada and Europe, Australia etc. 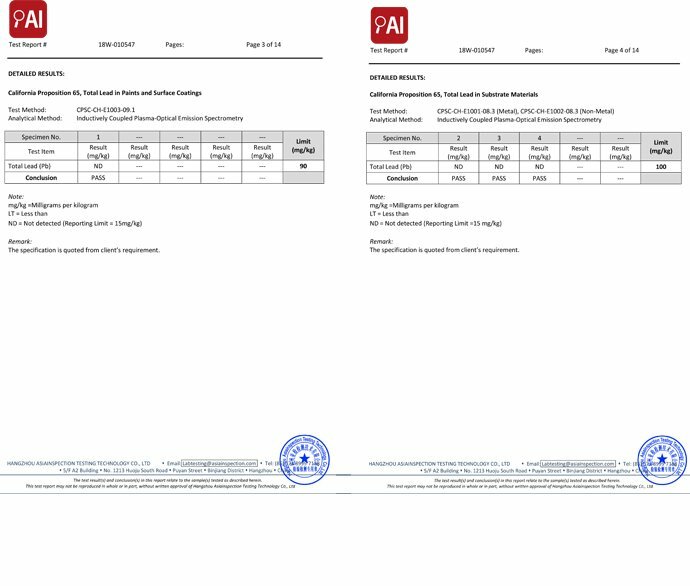 Test Result: to clarify whether the test sample meets the chemical requirements of AISI 304 stainless steel. Test Method: Sample preparation in 3% acetic acid at 100 degree Celsius for 2hours. CONSUMER PRODUCT SAFETY COMMISON – 16 CFR Part 1307 (Docket No. CPSC-2014-0033), Final Rule, amending CPSIA section 108, Prohibition on Sale of Certain Products Containing Specified Phthalates. 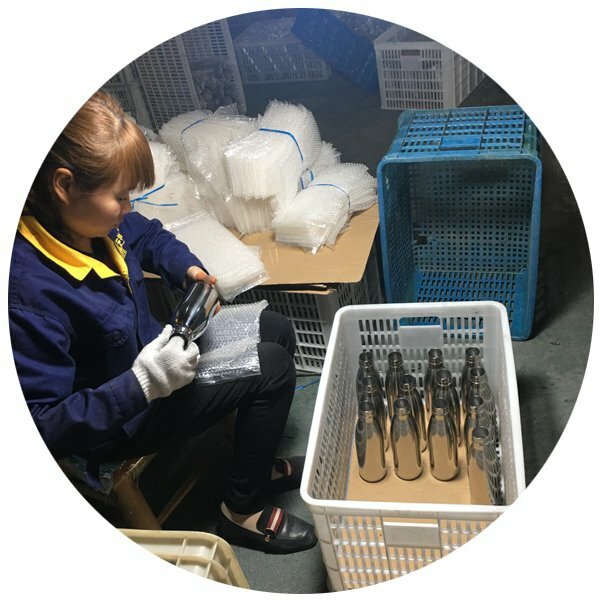 For specified drink bottles or hydro flasks, with different materials, surface finishing, plastic lid / cap, plastic sleeve or inner, the above standards could be adjusted accordingly. Chapter 7: How to maintain a Hydro Flask? And well designed to be lightweight yet extremely strong and break-proof. If this flask is well taken care of, it may very well last your lifetime, and keep your Hydro Flask Stainless Steel water bottles Fresh. Here are a few tips to enhance the enjoyment of your using your favourate drinkware. 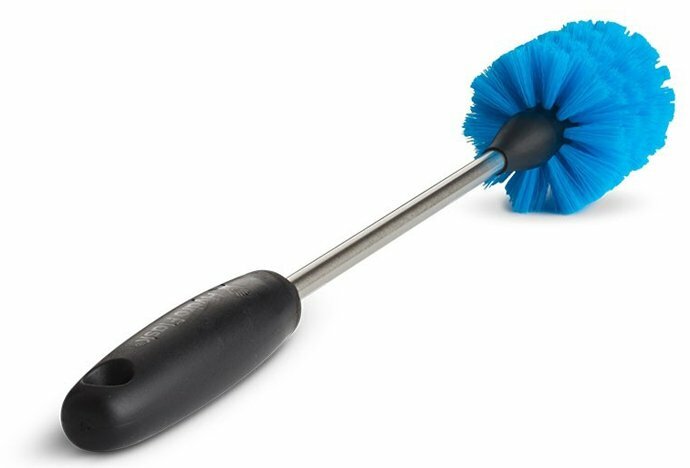 For safety and hygiene, washing your BOTTLES, CUPS, and CAPS prior to initial use. Hand Wash only. We recommend handwashing Powder coated and all vacuum insulated Hydro Flasks stainless steel water bottles. Clean Hydro Flask using warm water and detergent after use. Rinse thoroughly with hot water. Do not immerse in water. Dry thoroughly after leaving it to drain. If your bottle or cap seems to be retaining flavors or smells, use diluted vinegar and soak them in it overnight. 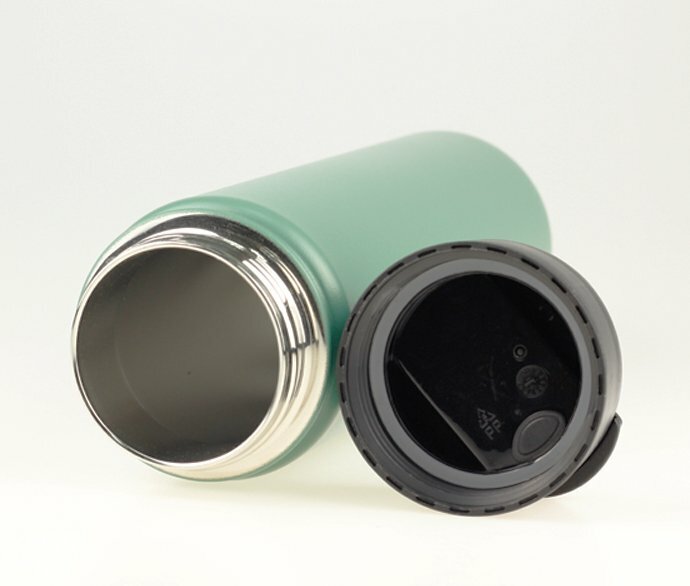 To achieve the best result from your Hydro Flask (or Coffee travel mug), pre-fill before use with hot water for hot drinks and ice water for chilled drinks for several minutes. Do not overfill, hot liquids can burn user. After filling, ensure the lid is tightly closed. Do not over-tighter lid. Do not put your Hydro Flask (or Coffee travel mug) in a dishwasher. If your Hydro Flask (or Coffee travel mug) has not been used for some time, rinse with warm water to remove any residual odours. Store with the lid off. Keep away from children when filled with hot liquids. Do not microwave or use conventional oven. 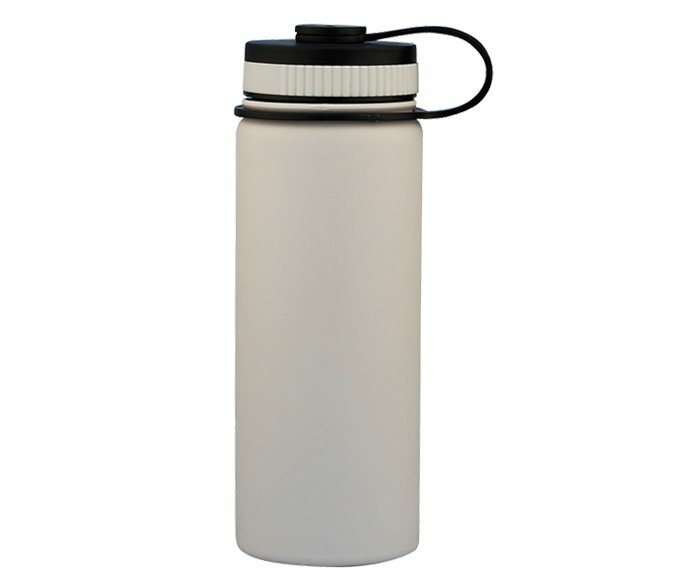 Don’t heat or freeze Hydro Flask or Double wall stainless steel bottle. Doing so could damage it. Do not store any carbonated drinks as they may cause the lid to eject forcefully. Avoid abrasives, solvent and bleach products. After closing, please pour out the residue fluid inside the lid. O-rings, gaskets extends the life of your bottle so it’s running as long as you are. Leakage maybe found after frequently using your Hydro Flask, it is normal, what you need do is to replace the water tight O-rings or silicone gaskets which are Available upon request. For hygiene, before filling your Hydro Flask or use it to drink, wash your hands after using the washroom, changing diapers, blowing your nose, coughing or sneezing and after touching pets. When we debuted our UV/3D Printed bottles, the most important thing to us at was to find a safe and durable Painting that also looked attractive. We reviewed and tested dozens of different paints and selected a domestic solid ink and an imported ink for UV printing, both contain no toxins or lead. Kindly NOTE that the edge of powder coated Flask/Bottle will leave color line when being scratched onto white paper, acting like a Painting Brush. This is character of Powder coating, does not matter with Issue in Coating Quality! Just like anything that’s painted, it is possible to chip or scratch the small bit of paint on your Hydro Flask stainless steel bottle. To prolong the life of your paint, hand wash your Hydro Flask stainless steel water bottle and don’t use abrasive agents to clean it. Under normal use your bottle should last forever. 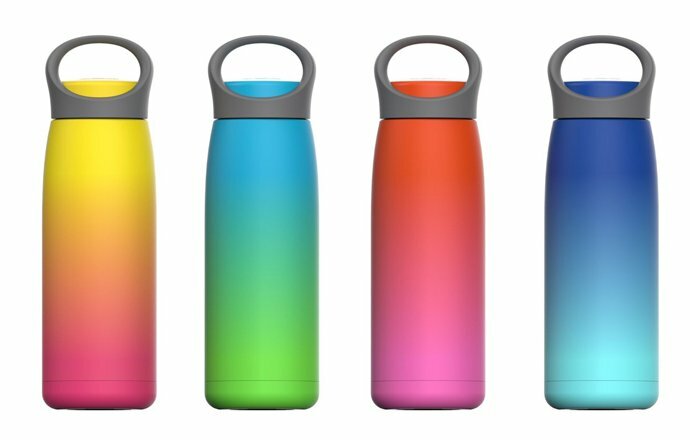 The colored Hydro Flask stainless steel water bottles are powder coated so they’re pretty resistant to scratches, but still scuffles with rocks or metal are likely going to scratch it. You might pick up some scratches and small dings along the way, but I think these battle scratches are cool, they are memorable history of your travel journey. Fortunately the latest designed Silicone Sleeve helps so much in protecting the bottom of Hydro Flask from dents and scratches in dropping to the ground. Put in the Fridge (put in Freezer to Freeze a Steel bottle), because Liquid expands when frozen, bottle will get deformed and will lose insulation properties, affect normal using. Thus it is prohibited to put in the Fridge except for short period pre-chill. The steel will block the drink from heating up and metal can catch fire., thus Do not Put in microwave. 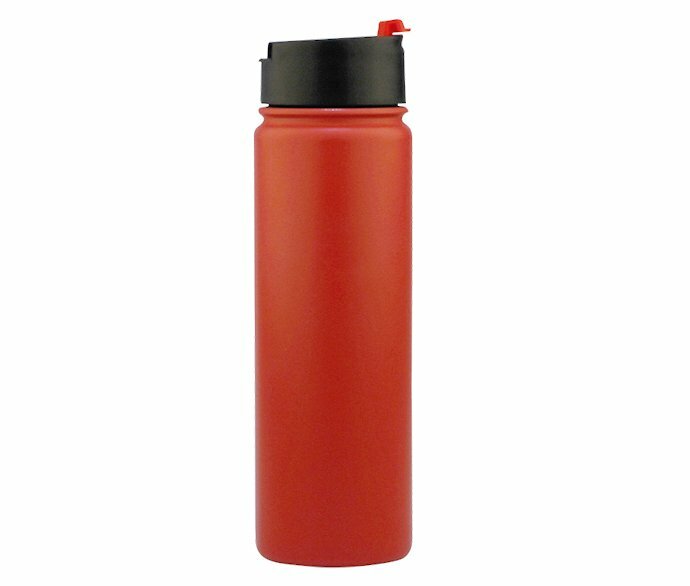 For Hydro Flask and other double wall insulated bottles, this is prohibited. Don’t put an insulated or double-wall bottle in the fire. The heat won’t pass through properly, and the bottle will likely explode. Stainless steel is pretty tough, but if you leave your Flask / Bottle in high heat (in a hot vehicle, for instance) for too long, the shape could warp and distort. Thus Keep your Flask / Bottle out of the heat. More detailed answers and reasons are listed as below. Q: Can you put ice in a Hydro Flask? Q: Can Hydro flasks hold hot water? 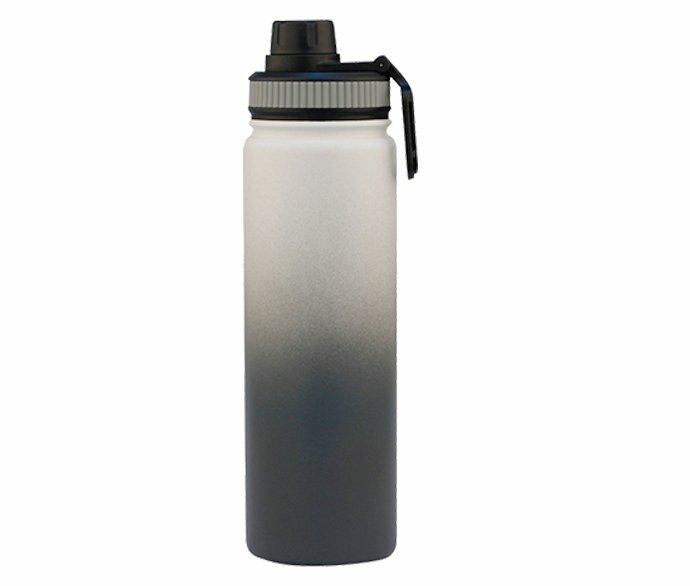 Q: Is a stainless steel water bottle used for hot and cold water? Q: How long does a Hydro Flask keep your drink cold? A: For all above 4 questions, Hydro Flask and Stainless Steel Water Bottle is environment friendly, as it is made from natural elements, they can be recycled easily. Stainless steel is healthiest for holding hot water as well as cold beverage too, Same as other Stainless Steel double wall insulated vacuum water bottles, Hydro Flask is perfect container for both hot water and iced cold beverages. It keeps hot drink hot for up to 12 hours and cold drink cold for up to 20 hours. Q: Is it safe to put lemon water in stainless steel water bottles? A: Safe is not a stagnant condition: lemon juice is highly corrosive and extensive contact w/metal—even stainless steel quality—containers –same to Hydro Flask, could cause micro-particle metal leaching which could result a consumer also inadvertently ingesting micro-metal particle corrosion. It is not recommended putting carbonated beverages in the Hydro Flask, since the pressure can cause liquid to spurt out of the lid. Alcohol, some juices, and dairy-based beverages can spoil and may cause excessive pressure buildup in your beverage container, which can lead to lid failure or injury. Remember if you are using your Hydro Flask to enjoy a fizzy soda, some bubbly, or other carbonated beverages, please use specially caution when opening. Q: What Else can we use Hydro Flask to drink? Beer should be fine, just be very careful when opening the lid! 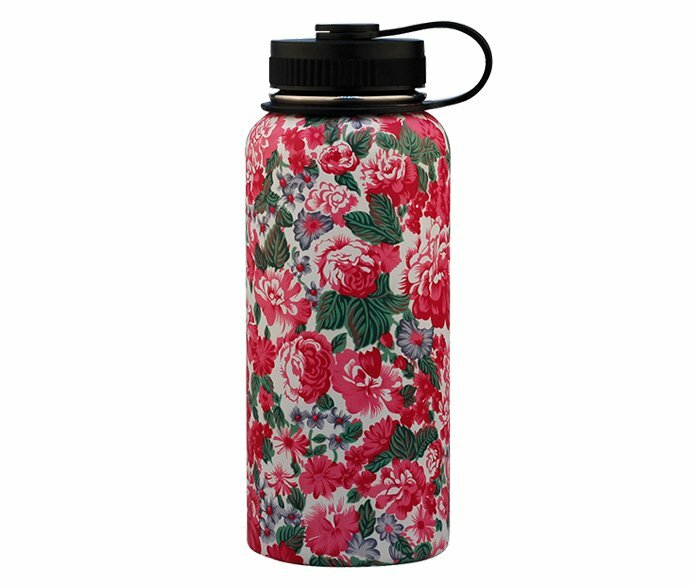 Q: Is Hydro Flask machine washable? / Is it dishwasher safe? A: There are no known safety issues; stainless steel is non-reactive so the Flasks do not leach and do not have to be lined. Stainless steel generally is less dishwasher safe and probably not a good bet in hot climates since the metal will heat up more quickly than its plastic-counterpart. Hand wash is requested to maintain the normal vacuum thermos function thanks to double walled insulation structure. Q1: How do you get rid of a Hydro Flask smell? A: All above 3 questions are on Hydro Flask Clearance. 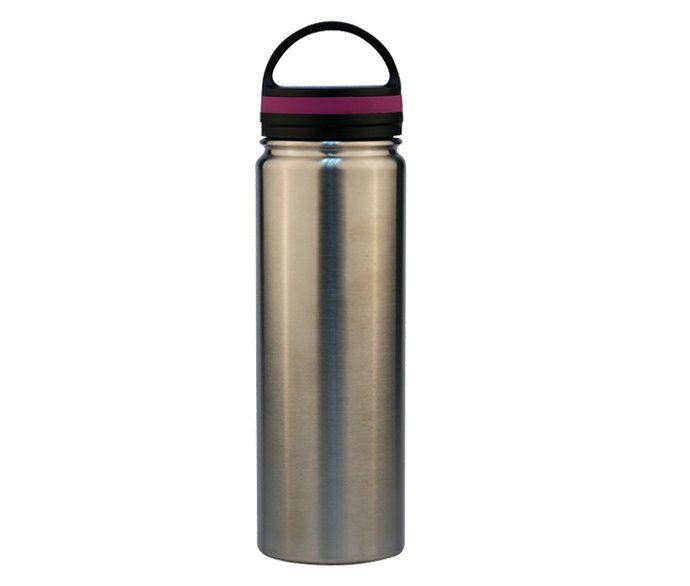 Hydro Flask Stainless steel water bottles are becoming more and more popular. These bottles are break-proof, durable, and easy to keep clean. Hydro Flask’s Durable 18/8 pro-grade stainless steel construction won’t retain or transfer any flavor. 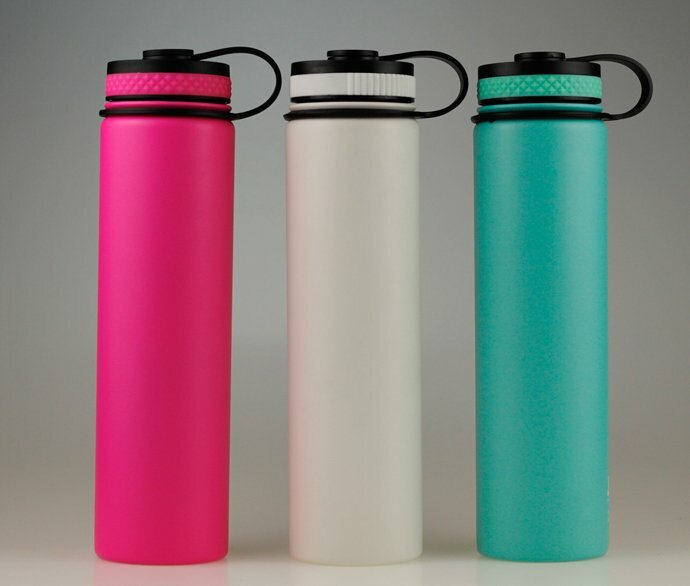 While some flavor and scent can randomly occur in improperly cleaned Hydro Flask stainless steel bottles, it is easy to remove. You can keep your Hydro Flask stainless steel water bottle clean, fresh and odor free by using the following methods. Rinse the vacuum flask out with hot water and leave upside down on a dish drainer to drain completely. This method will take a little longer but should still deliver good results. Fill the flask with hot water. Add 2 teaspoon of baking soda. Let Flask stand for half an hour. Tip the water out. Allow to air dry with the lid off. Q: How often should you wash your bottle? A: Clean your water bottle at the end of each day. If you’ve used your bottle at all during the day, clean it. 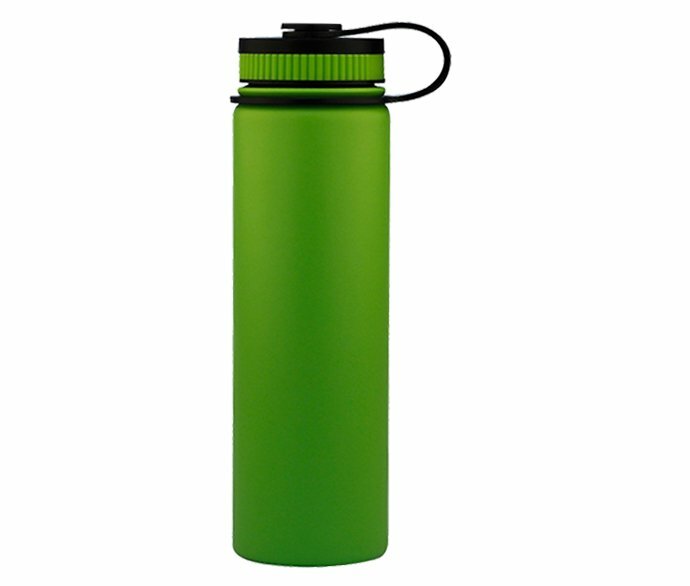 The experts suggest reusable water bottles –including Hydro Flask- should be washed each time after use. You can rinse your bottle with hot water over 71 degrees Celsius. With temperatures of about 55 degrees Celsius , use soap with some kind of cloth or sponge and make sure you’re giving your bottle a thorough rinse. Dry your water bottle after that. If you’re just drinking water out of your bottle, you barely even have to clean it. You could Regularly go weeks without cleaning bottle, other than a quick wash of the mouth part every week or so. The only time to use a soap and water rinse is if you have some veggie juice or tea/coffee in the bottle. Another easy way is have it soak with soap and water overnight. In the morning pour the contents out, Rinse the inside of the bottle and Air Dry. REACHING (brand LaiKoe) guarantees every REACHING Hydro Flask stainless steel water bottle with a limited warranty against manufacturer defects! REACHING Hydro Flask stainless steel water bottle, Coffee Tumbler, Wine tumbler, Beer Growler, Large Capacity Sports Water bottle carry a limited lifetime warranty against manufacturer’s defects for the life of the product. REACHING (brand LaiKoe) will replace any products found to be defective within the scope of normal and appropriate use. If your cap breaks or you notice a leak, simply follow the link below to sign in and enter your warranty details. Please note you may be required to send us a photo of your cap to validate the claim. You will be responsible for the shipping charge to have the flask returned if you send the flask to us. You can test the insulation of your flask at home with boiling water. Pour from a kettle or pot directly into the stationary flask, filling it all the way to the neck. Exercise caution pouring boiling water into the flask to avoid burns. Do not hold the flask while filling with boiling water. Also, do not place the cap over the flask. After about 5 minutes, feel the outside of the flask (below the neck). If you feel any hot spots, the insulation has bee compromised and you are eligible for a replacement. 3. Flasks that are damaged during the shipping process: Please contact us if your flask from REACHING and it has arrived damaged. 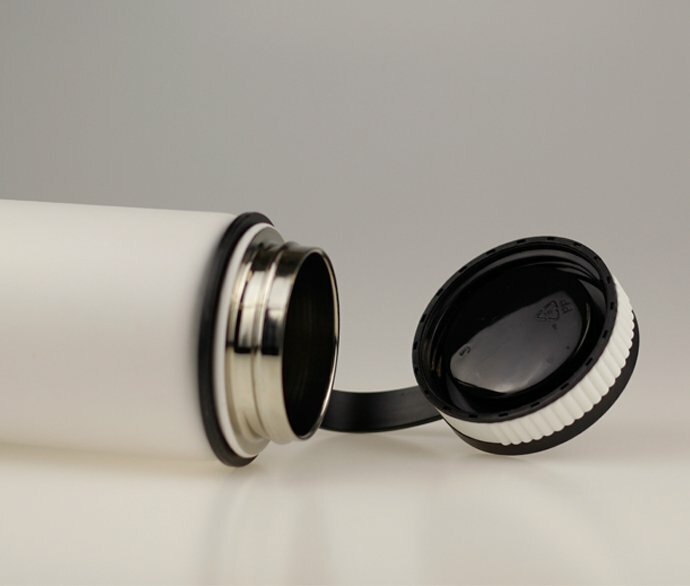 If you use your flask, we cannot replace it due to shipping damage. 4. 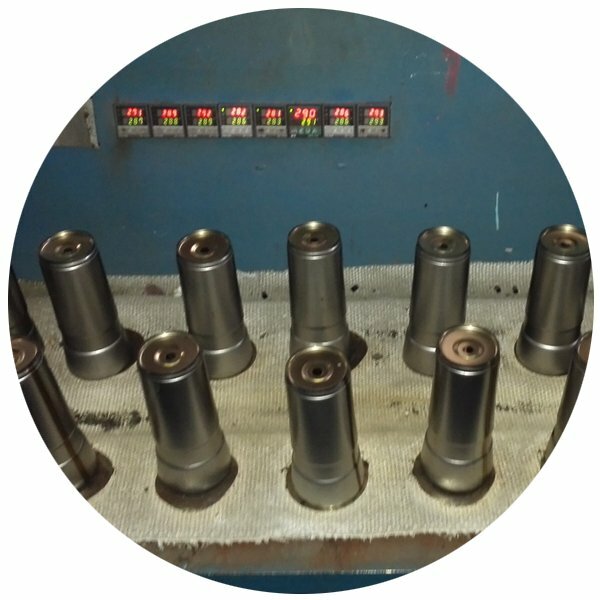 Rattling flasks: The rattle you hear is a small metal disc that sits between the double wall of your flask and aids in the vacuum insulation process. Sometimes the disc becomes dislodged, creating a small noise or rattle. This will not affect the insulation or structural integrity of your flask. If you can live with it, so can we. However, if it is an annoyance, we will exchange it for a new flask. This warranty is limited to the lifetime of REACHING Hydro Flask stainless steel water bottles, as limited by or subject to applicable law. (i) improper use or misuse of the product; (ii) damage or defect caused by cleaning, disassembly, alterations, or modifications; or (iii) damage or defect caused by or resulting from wear and tear, abuse, fire, or Acts of God. The warranty doesn’t cover scratches, these are normal and will happen along way during your travels. If scratches bother you, think about nature and its imperfect beauty. The scratches tell a story, the story of our journey through life which is character of your Hydro Flask Stainless Steel water bottle. Please note your Warranty Claim REACHING will be replaced by the same size and color Hydro Flask stainless steel water bottles. If the size and color are no longer available, it will be replaced by one of similar size and color and will not be of lesser value. Unfortunately, replacement flasks under warranty cannot be customized. 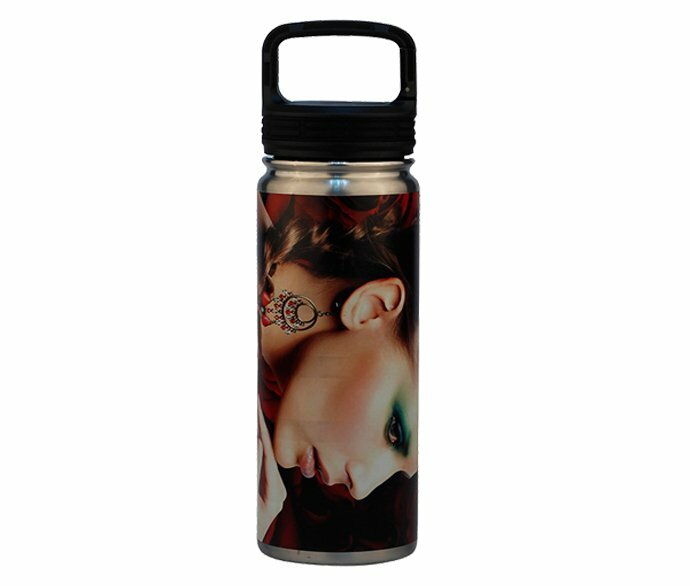 If you have a flask with a custom logo, we are not able to screen print or engrave the artwork on your return flask. Those that have purchased engraved flasks will not get an engraved flask sent to them under our warranty replacement policy. In no event shall REACHING be liable or responsible for any damage, loss, cost, or expense, including incidental or consequential damages. Chapter 9: Main markets and How to order custom Hydro Flask and Stainless Steel Sports Water Bottles from LaiKoe? People buy Hydro Flask from local USA Stores. Before ordering, is it a must to know what you are to order, when to order, what cost you hope to place order? What to order is a start. There are lots of Hydro Flask stainless steel water bottles for choose. The clients shall know what their final users care about. Who is the final user? What factor (like capacity, design, colors, decoration, lid matching) works most? Design: Generally there are 3 mouth sizes: Narrow Mouth Flask, Standard Mouth Flask and Wide Mouth Flask. The Narrow Mouth Flask differs in 18oz and 24oz, its advantage is keeping cooler much longer compared with standard and wide mouth Flask. The Standard Mouth Flask ranges in capacity of 12oz and 21oz, matching lids includes Standard Mouth Insulated Sports Cap, Standard Mouth Flex Cap. For the wide mouth flask, its capacity ranges from 12oz, 18oz, 20oz, 22oz, 32oz, 40oz, 64oz. With wide mouth, ice are easily to be poured into the Flask and water could be accessed quickly. More than Hydro Flip Lid, Wide mouth straw lid, there are 12 more styles of lids are for choice to meet custom ordering mass of products. Capacity choice: if it is for man or family, big capacity is the first choice like 20oz, 22oz, 24oz, 32oz, 40oz, 64oz or even bigger. But if it is for kids, girl, maybe portable one with small volume is more preferred, like 12oz,16oz, 18oz. Colors: The most popular colors fans are pursuing Pacific, Flamingo, Mint, Goldenrod, Olive, Storm. The lid and flex boot could also be colored accordingly to match the bottle color. Of course those classic colors are continuously sell well, including Black, Cobalt, Mist, Brick, Watermelon and Lagoon. Nearly all colors are available Including Native steel brushed silver, Shiny gold or matt rose gold by UV coating or Spray painting. 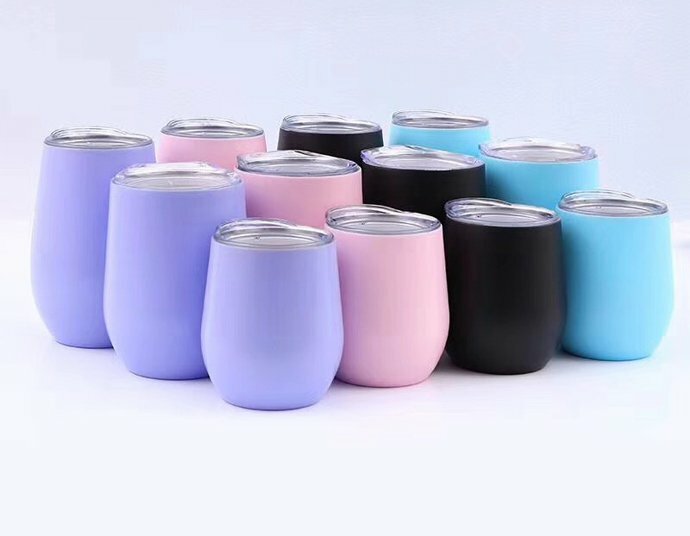 Decorations: The Very durable food grade powder coating is the unique advantage of Hydro Flask, now it has developed to be Gradient coating and Multi-color coating. Embossing or Debossing, Rubberized coating, Silk screen printing, Heat transfer printing, laser engraving or Eroding, Water transfer printing, Air gas printing, UV (3D) printing. They have their own advantages on logo behavior, as well as limits on logo surface area and others. You could contact, based on your original demands, our experienced staff could present professional suggestions for your easy decision. Adding custom logo by laser engraving or one color silk printing on silver surface of Hydro Flask Stainless Steel water bottles is the most reliable way Now. UV(3D) printing on Spray painted or Powder coated Flask / Bottle surface is so popular in USA, Canada, Australia and Japan from Year 2018. Other more brands like Thermos and Starbucks get good rewards in selling their Drink bottles with UV (3D) printing graphic. Lid: There are totally close to 20 different lid styles to match the Hydro Flask Stainless Steel water bottles with one or two more functions combined, custom logo could be created for those meet certain quantity requests. Custom color matching is also available to achieve awesome travel mug and flasks for your brand. Accessories: Small Flex Boot, Medium Flex boot are designed to protect the bottom of Hydro Flask from dented due to accident dropping. Others like brushes are available to help clients drinking more happily. If you aren’t really sure how to order from us – you don’t need to worry, we will show you step by step how to order your preferred Hydro Flask Stainless steel water bottles from Laikoe. Step 1: First access to Laikoe website: laikoe.com, or you can click here to access quickly. Step 2: At the top of the page, click a Category name from the “Bottle” Drop-down menu in the “Bottle” section, Including “Hydro Flask”, “Stainless Steel Water Bottle”, etc. Step 3: You are at the page of Full listed products of Certain category like Hydro Flask. There are different buttons leading you to check details of Hydro Flasks and LaiKoe, or send us enquiry. Step 4: You could see Yellow pop-up button of “ Year 20XX Most Popular bottles” in the top right, click it you could see the hot seller in the passed year. Step 5: Buttons are everywhere when you need learn more on us and send any questions or enquiry. You could contact us to any way listed at the bottom of all pages. Step 6: In your enquiry or message to us, please let us know your detailed requests like Item number, Quantity, your preferred decoration, expected delivery. If you could advise your target price, it is very helpful to help you choose most suitable items to promote your business. Step 8: You confirm all details including Quantity, price, custom logo, artwork for logo / instruction / packing, payment terms and delivery time, etc. Step 9: Approve Proforma Invoice and pay deposit /Sample fee to Laikoe. 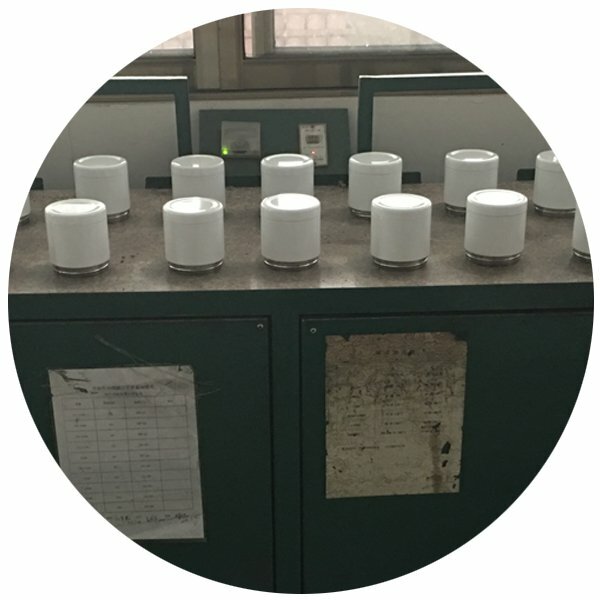 Laikoe starts making Pre-production sample and Prepares material for mass production. 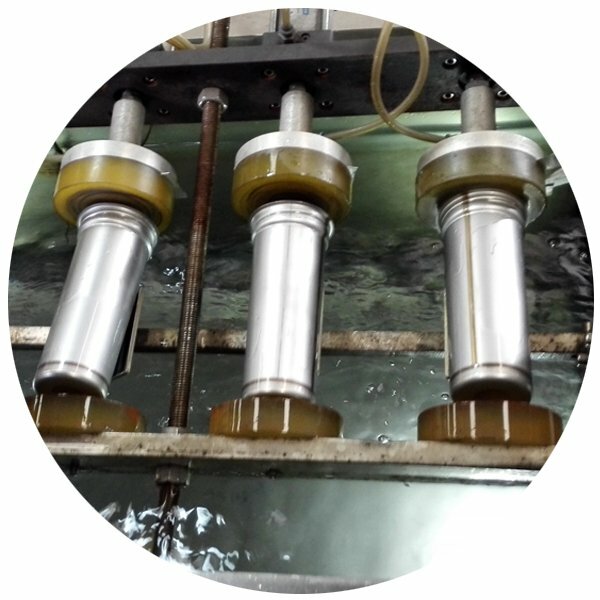 Step 10: Approve Pre-production to Laikoe, mass products are in producing under strict quality control. Get timely order update from Laikoe. Step 11: One week prior to goods ready, get notification on packing details like Total cartons, gross weight and volume of goods. Prepare to book vessel. Laikoe could help to book vessel in customers cost to collect with balance payment. Step 12: Receive Official Inspection Report and Shipping samples from Laikoe. Approve the Quality, remit the balance payment and Instruct Laikoe to ship goods. Step 13: Get shipping documents (Telex-released B/L, Commercial Invoice, Packing list etc.) from Laikoe to clear customs, pick up goods to clients warehouse. Step 14: Having goods sold or deliveried to all distributors / stores. Working with no with Laikoe on new bottle projects. 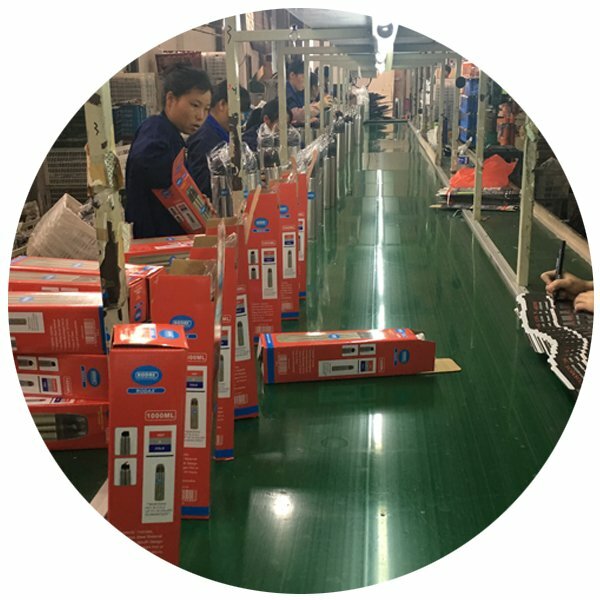 Laikoe will try our best to help in all above 14 steps to short the negotiation period and enlarge cooperation between you and Laikoe –Your reliable Hydro Flask manufacturer in China! Reaching (brand Laikoe) is professional Hydro Flask Manufacturer in China. 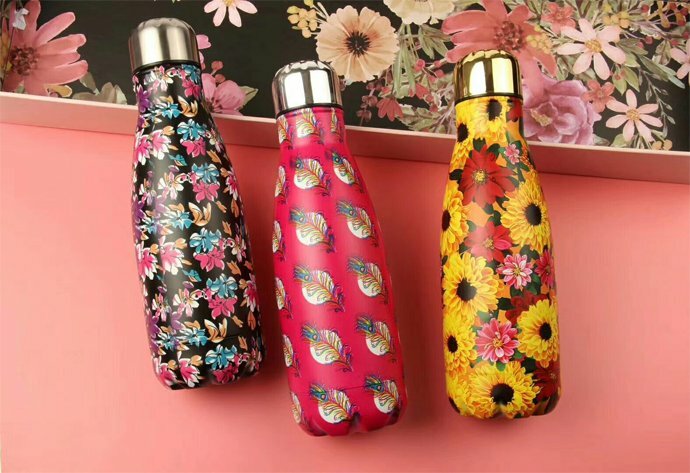 Besides Hydro Flask Stainless Steel Insulated water bottles, Reaching (brand Laikoe) also supply lots more Bottle styles to domestic market and world market. More tableware like Cups, Pitchers, Thermally insulated containers for food, vacuum bottles, wine glasses and Coolers in various size. Ask a free quote of your hydro flask water bottle order now, you will get an instant quotation.